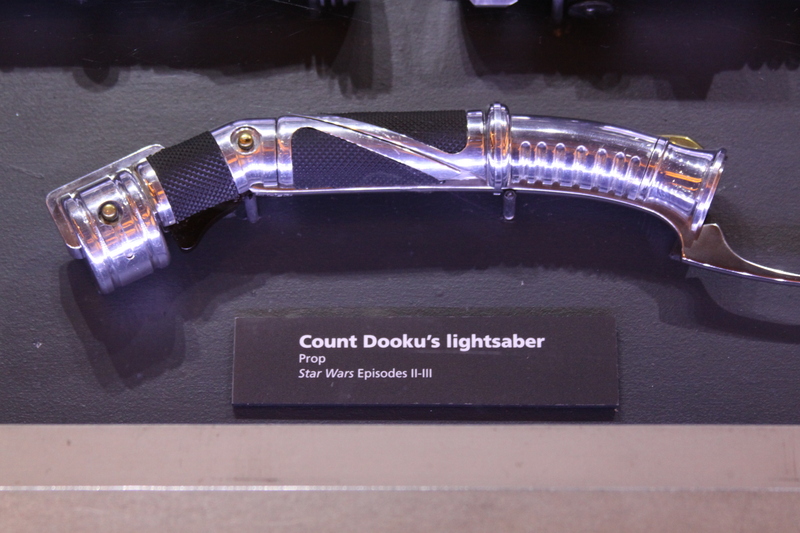 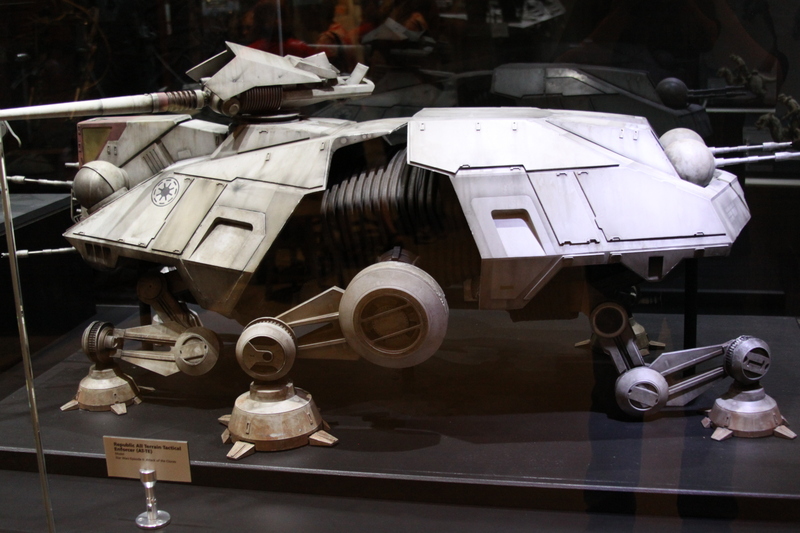 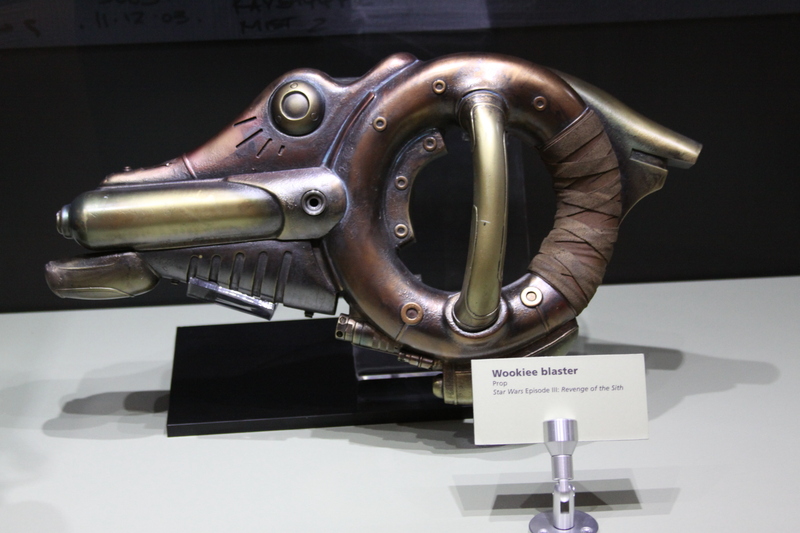 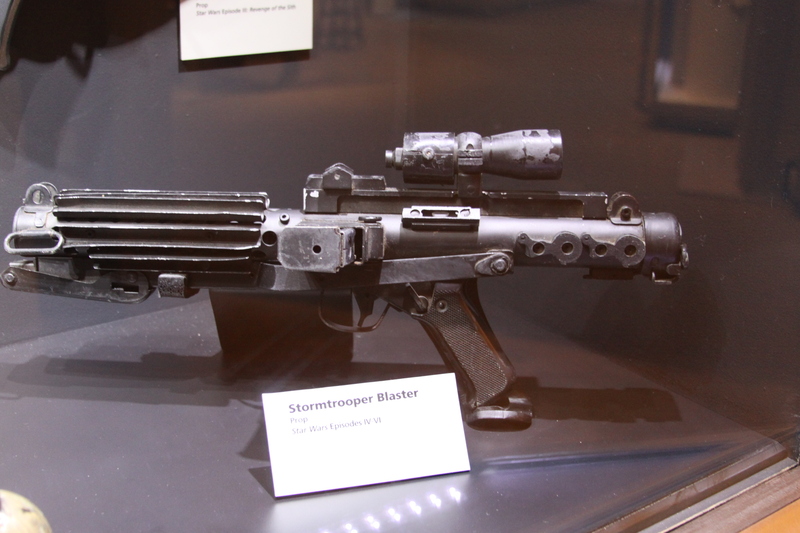 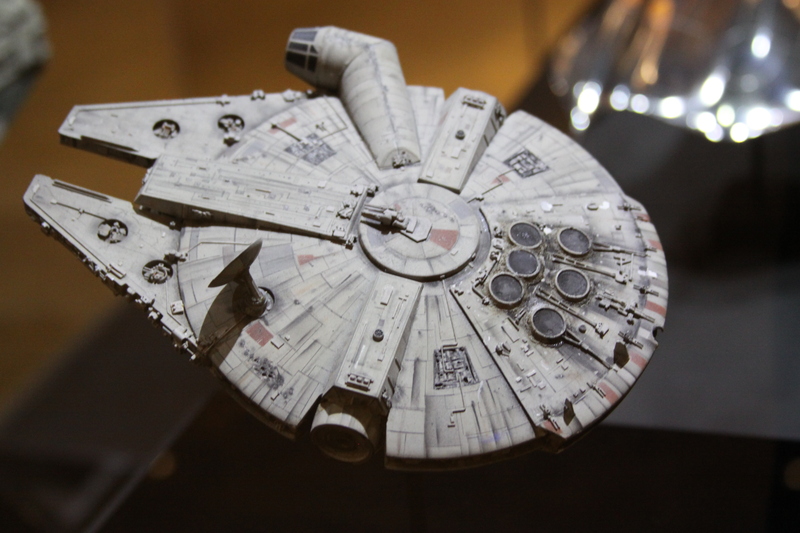 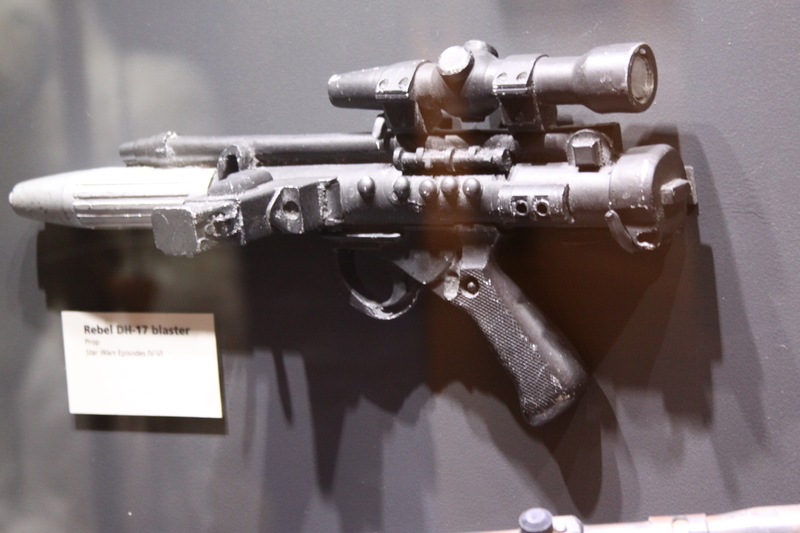 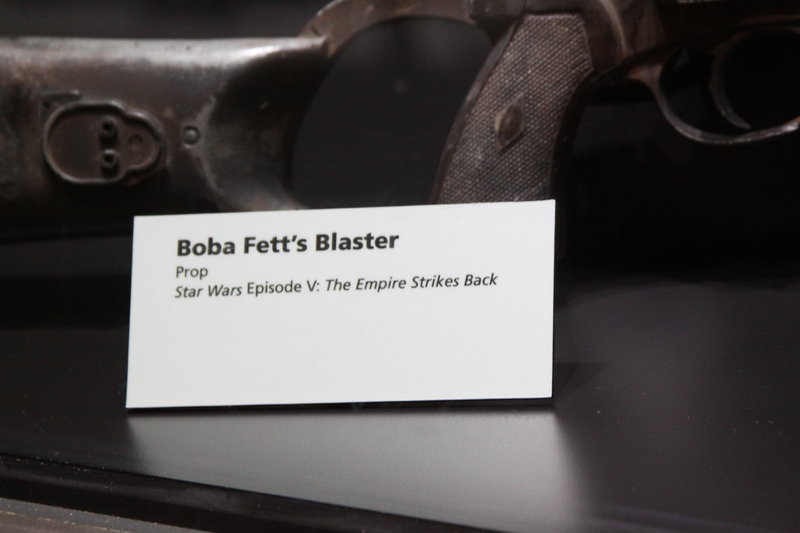 Star Wars: Where Science Meets Imagination is a traveling exhibition, featuring props and costumes used in the Star Wars films, but focusing primarily on the science behind George Lucas’ science fiction-fantasy epic. 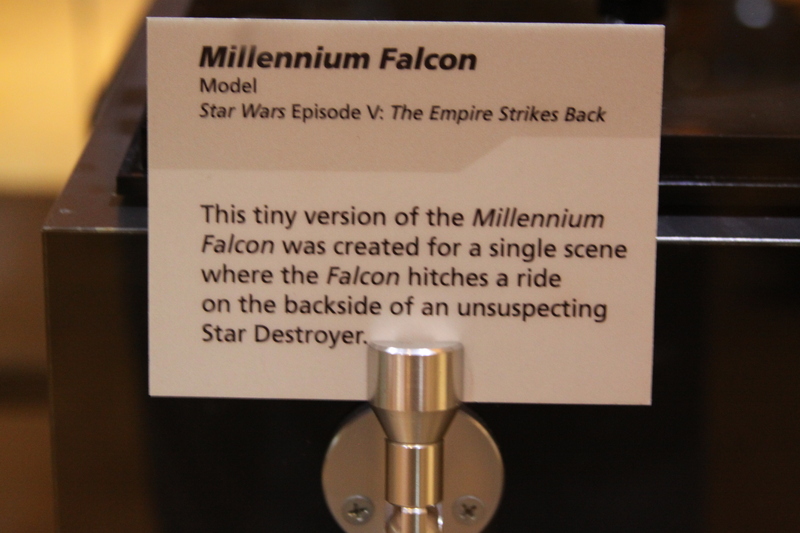 Star Wars: Where Science Meets Imagination is a collaboration with Lucasfilm Ltd., with the support of the National Science Foundation. 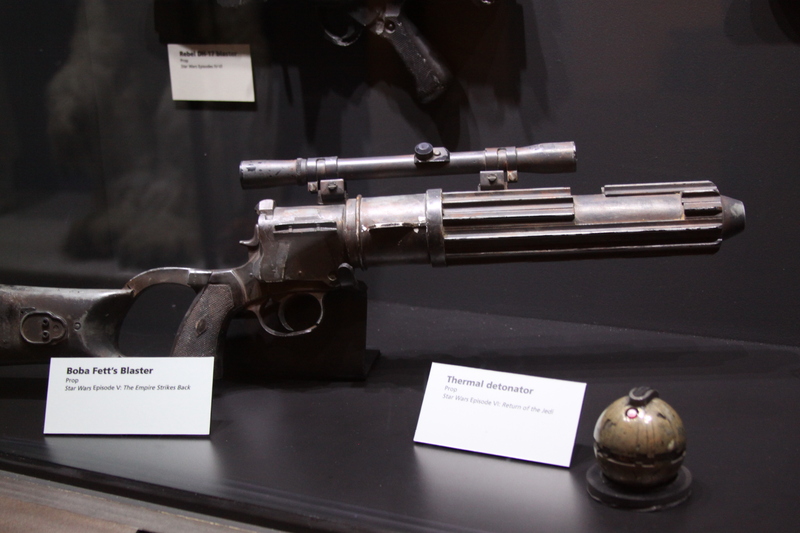 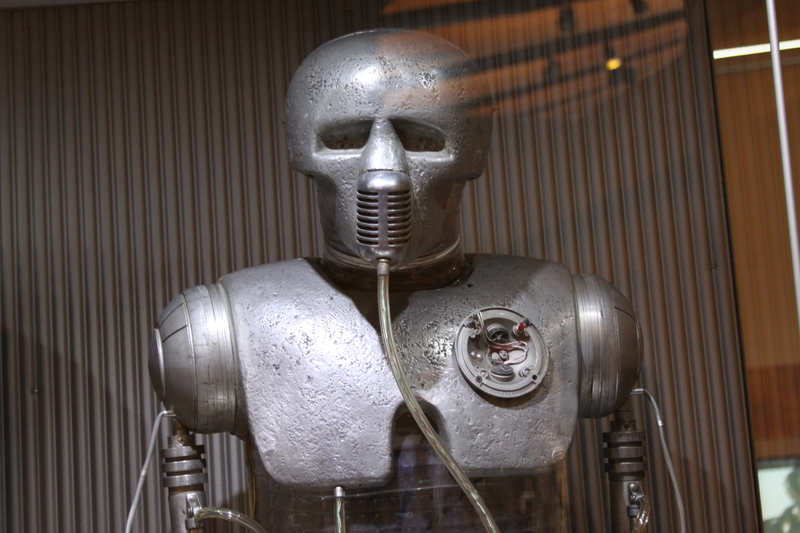 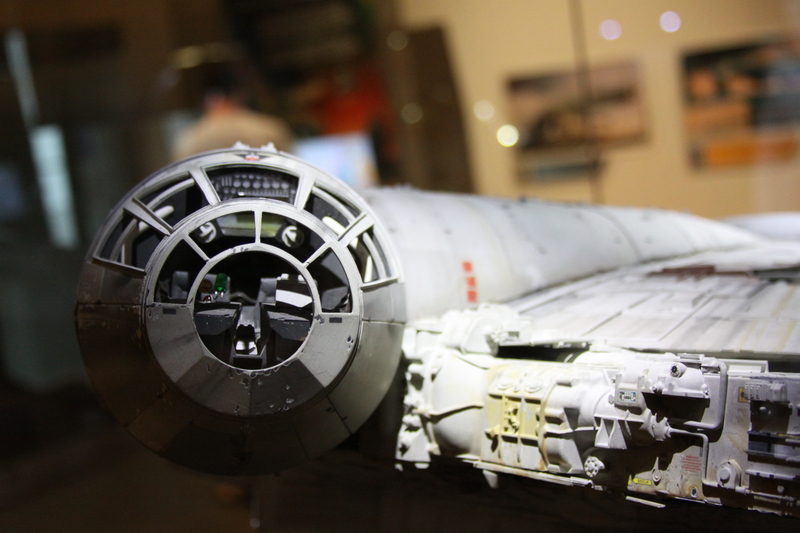 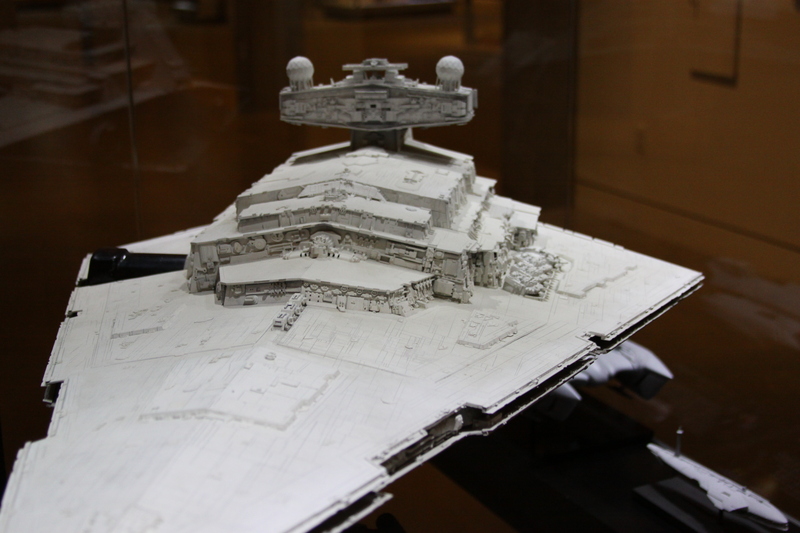 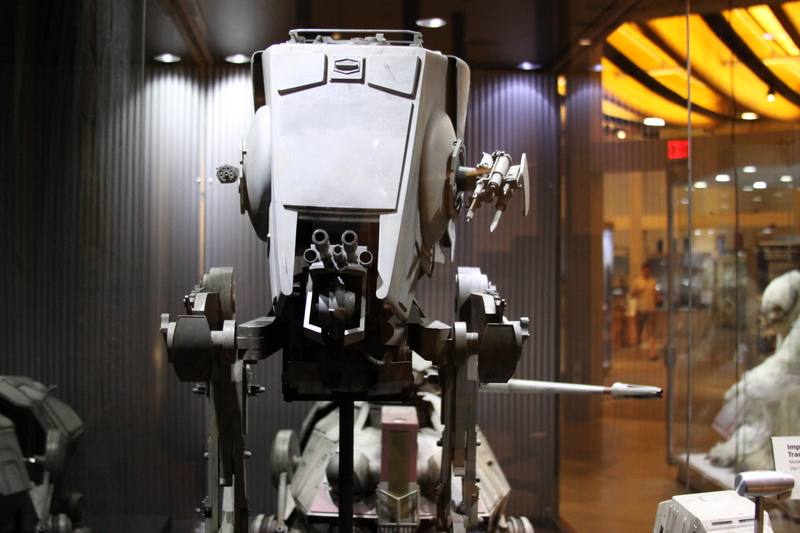 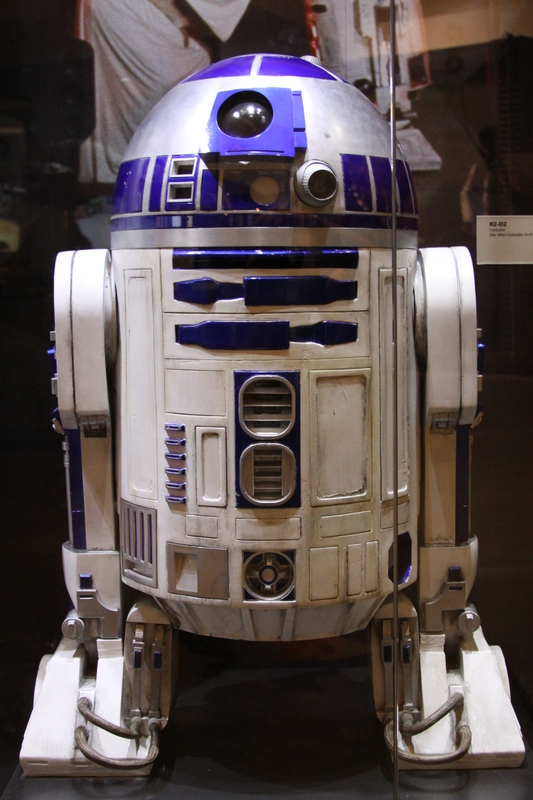 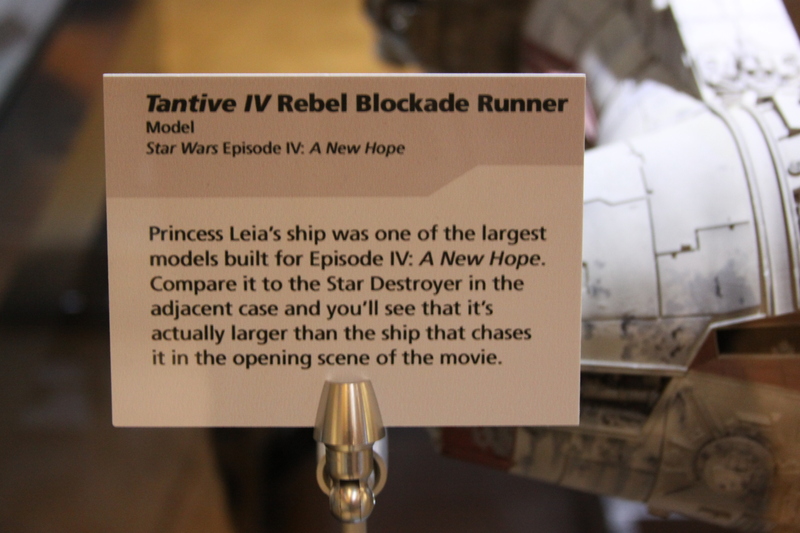 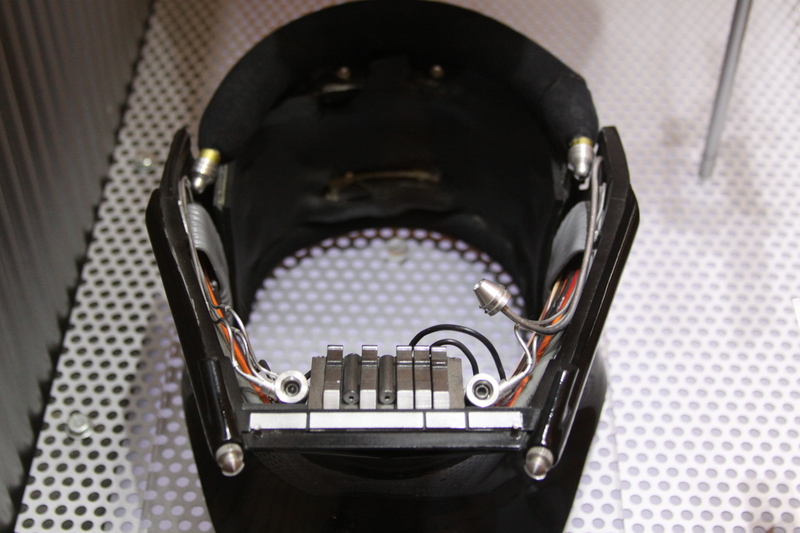 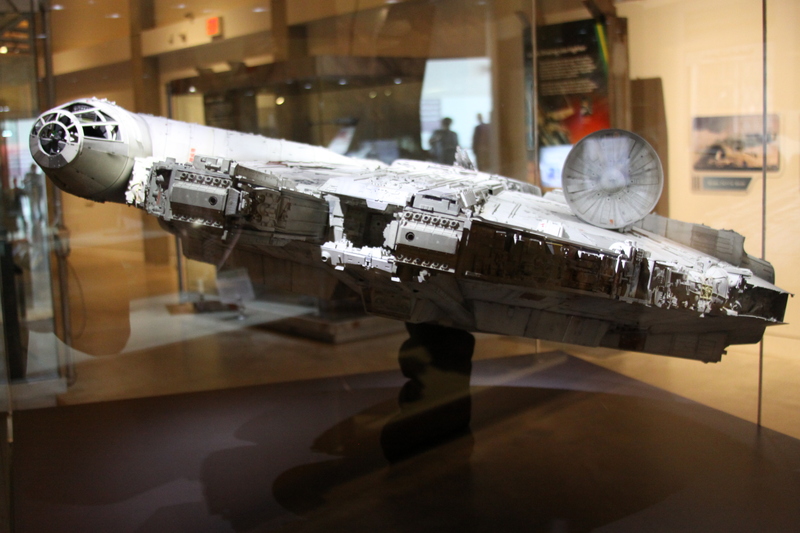 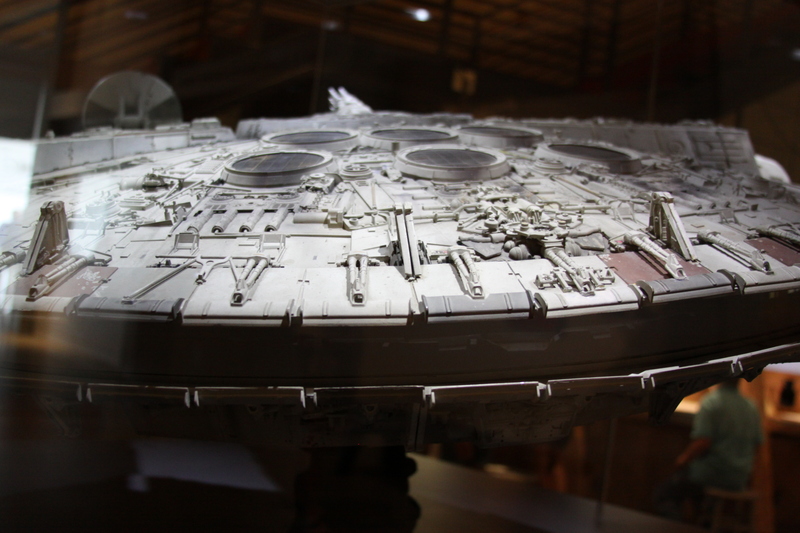 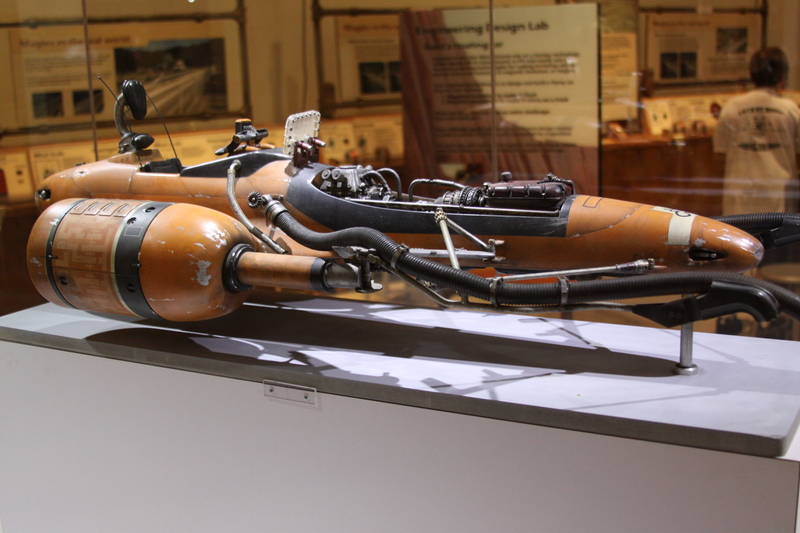 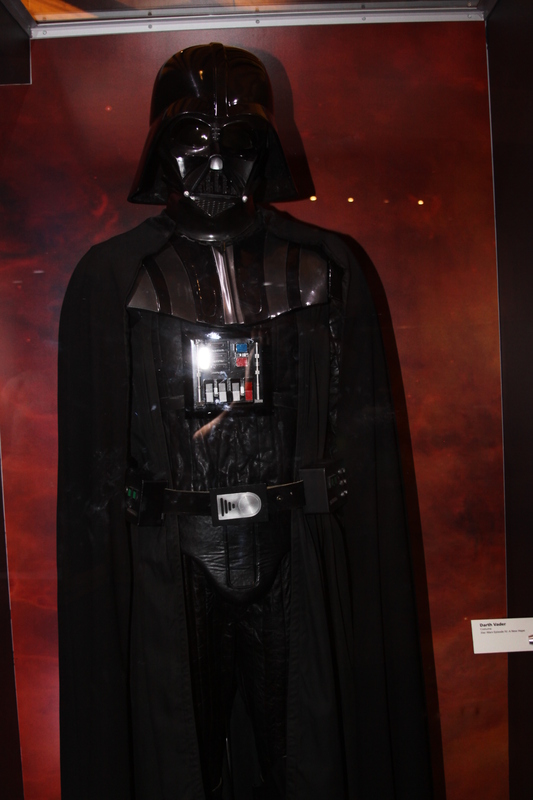 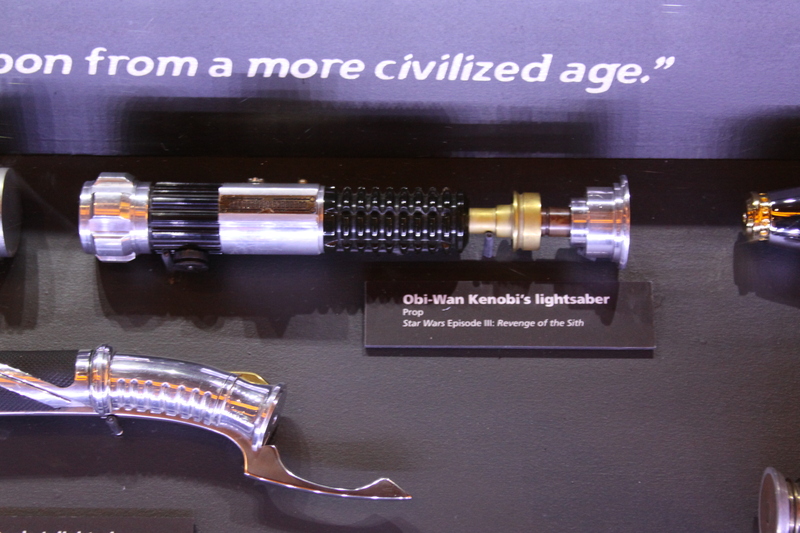 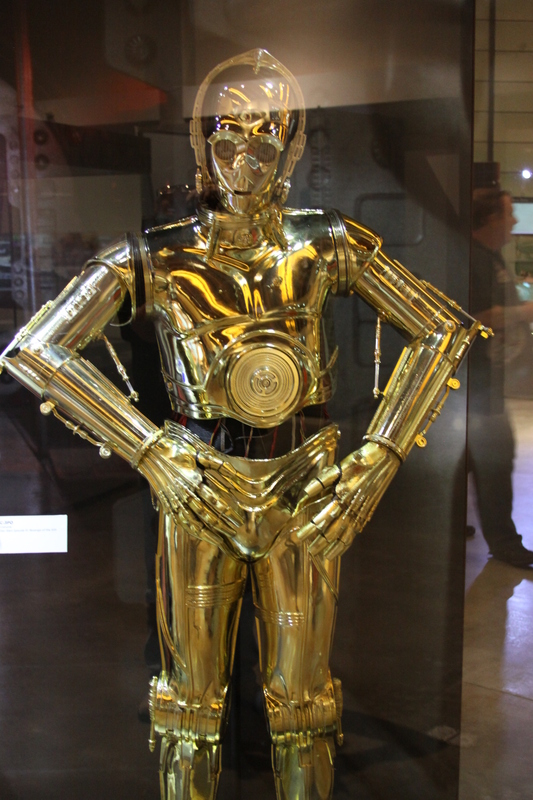 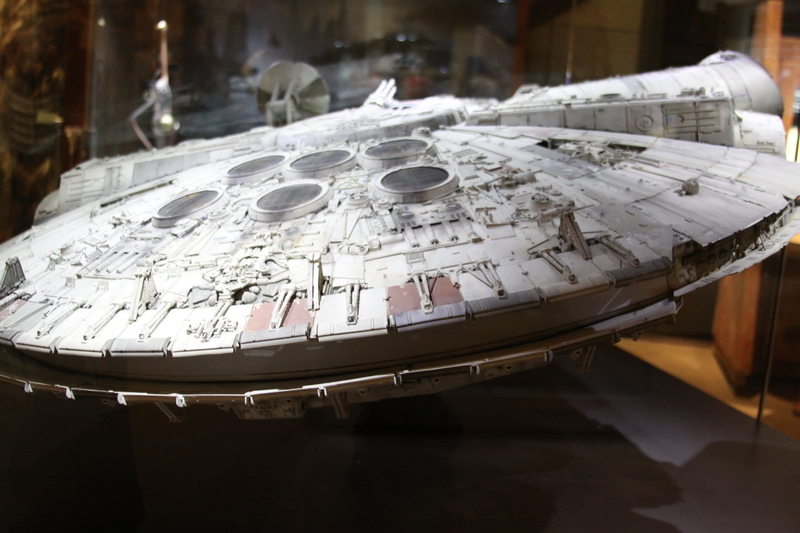 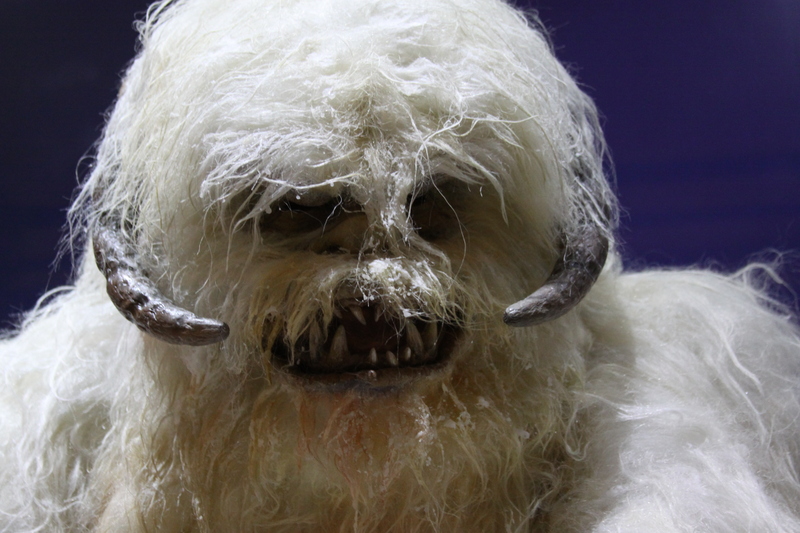 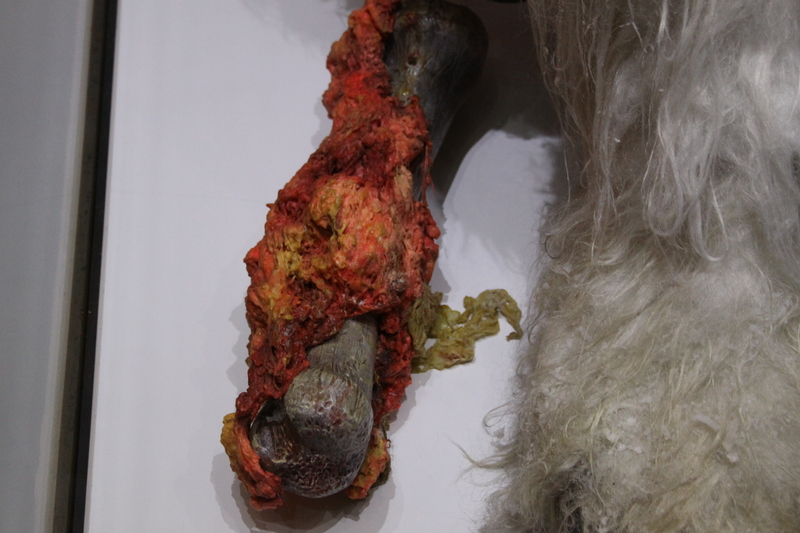 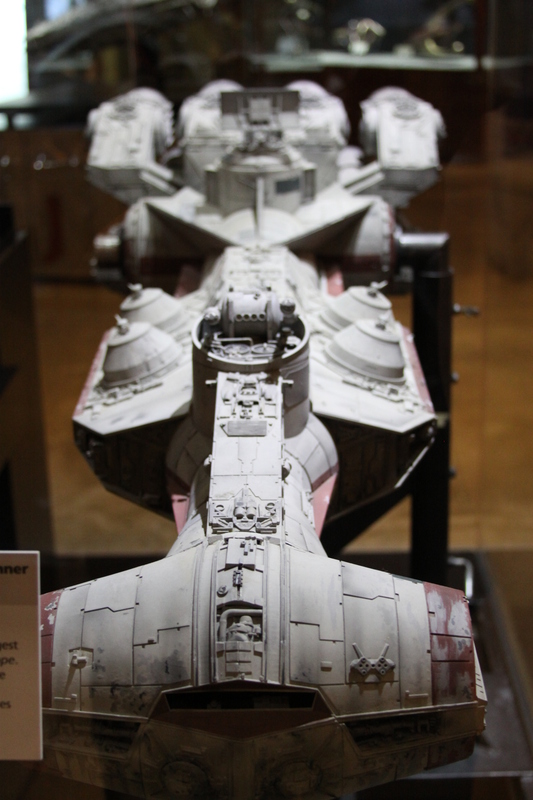 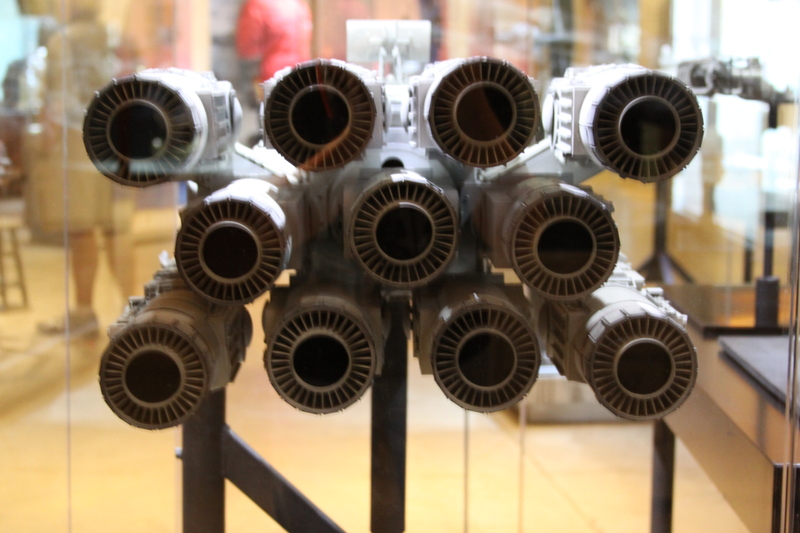 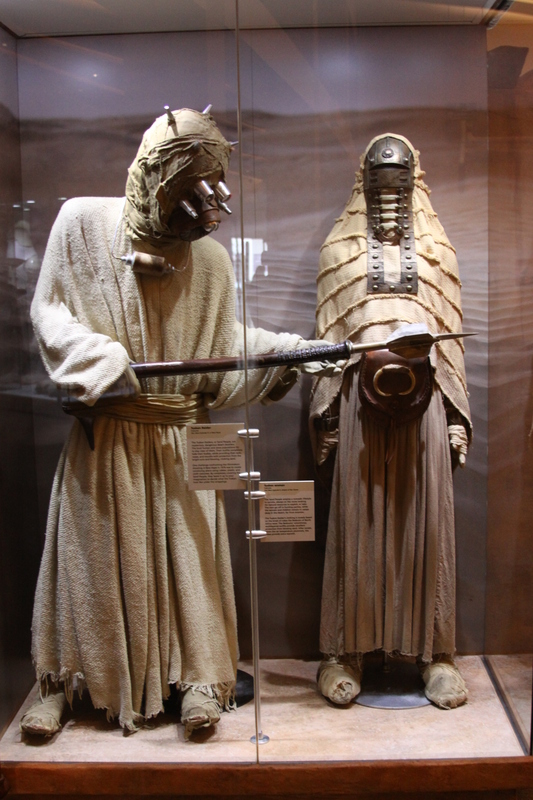 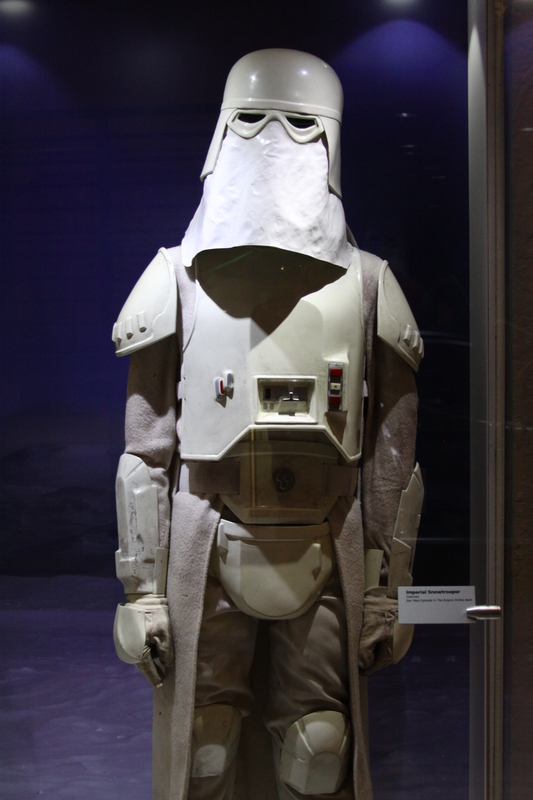 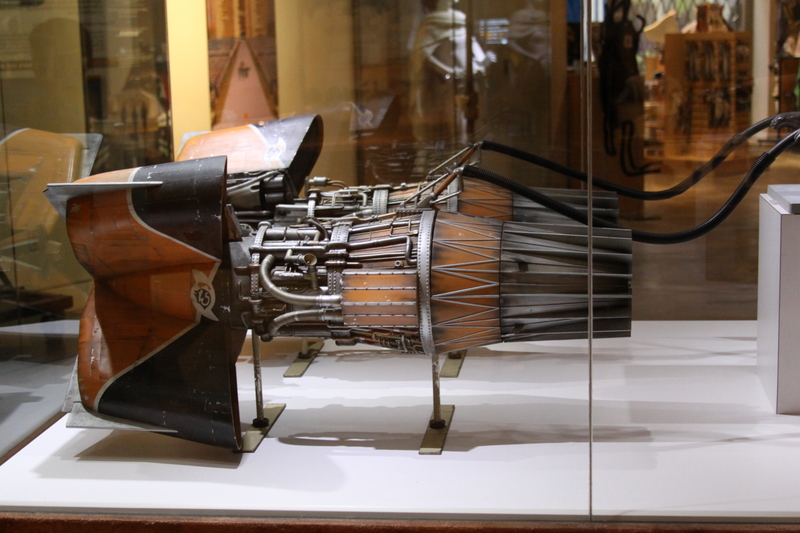 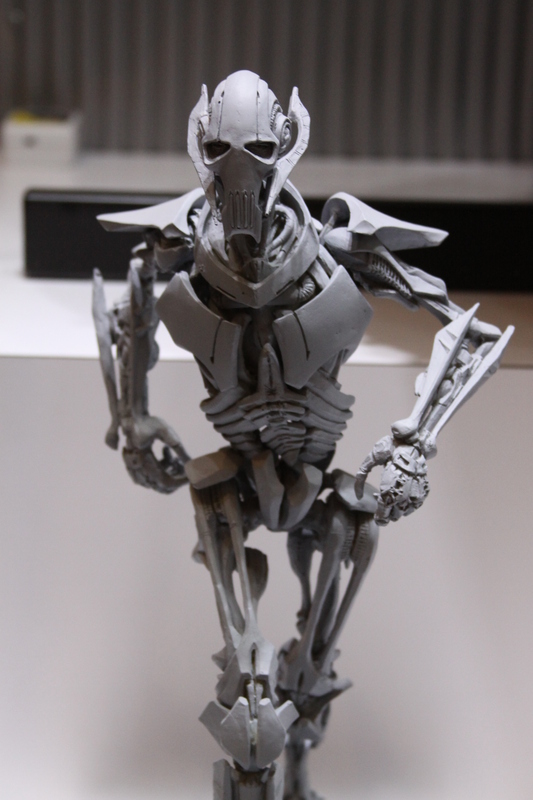 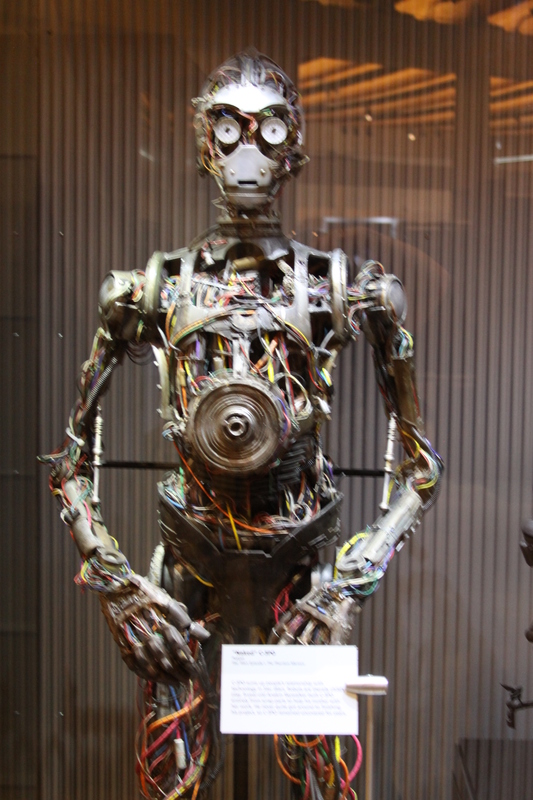 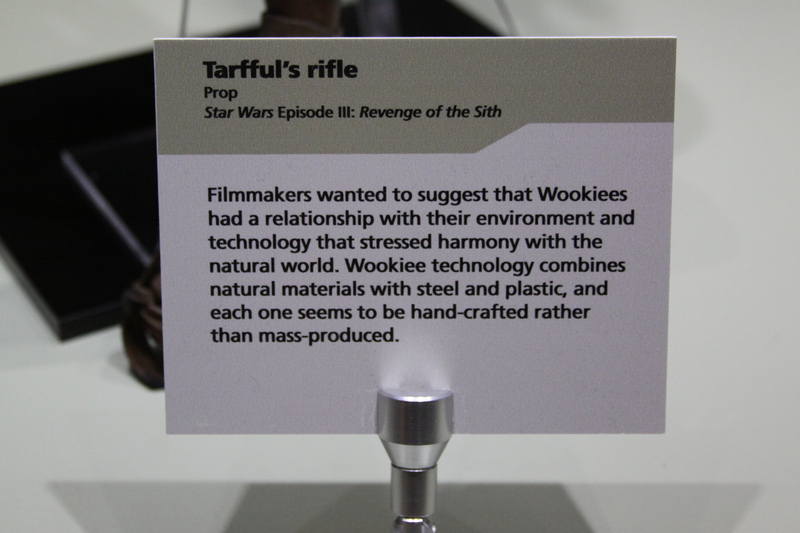 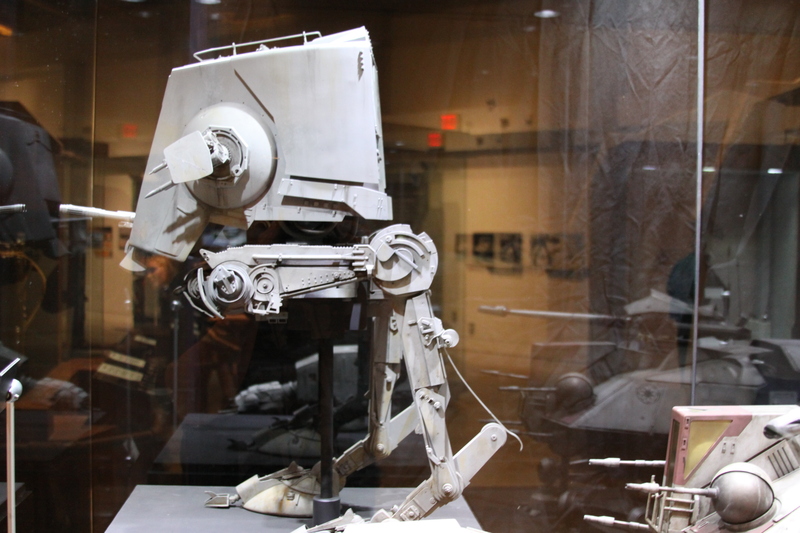 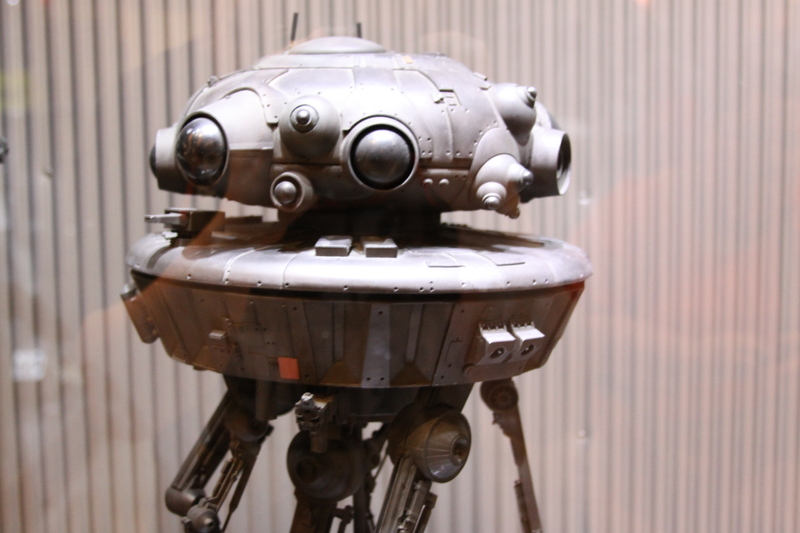 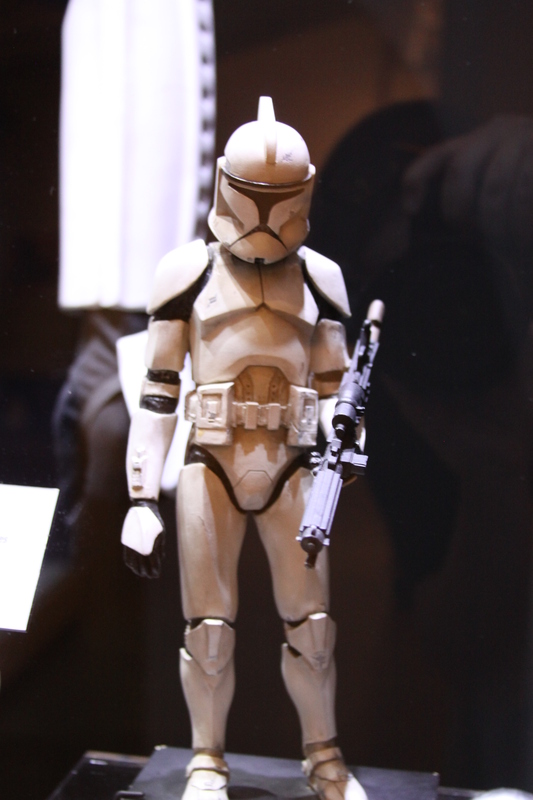 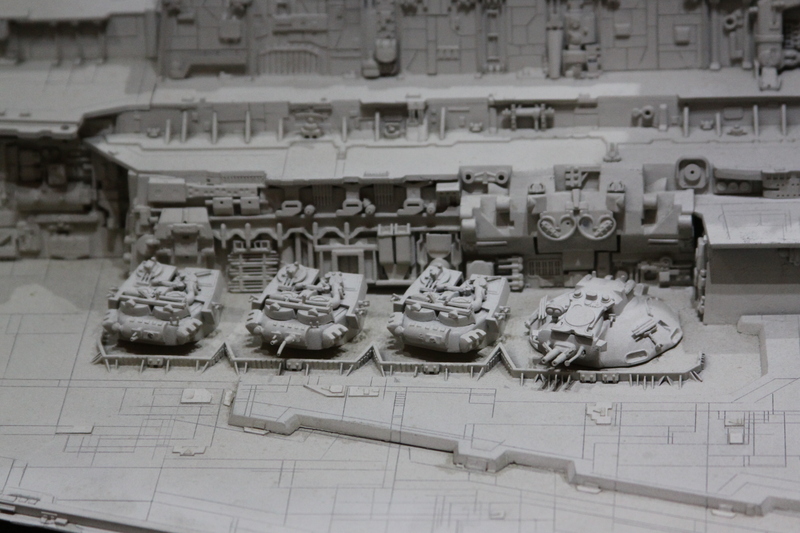 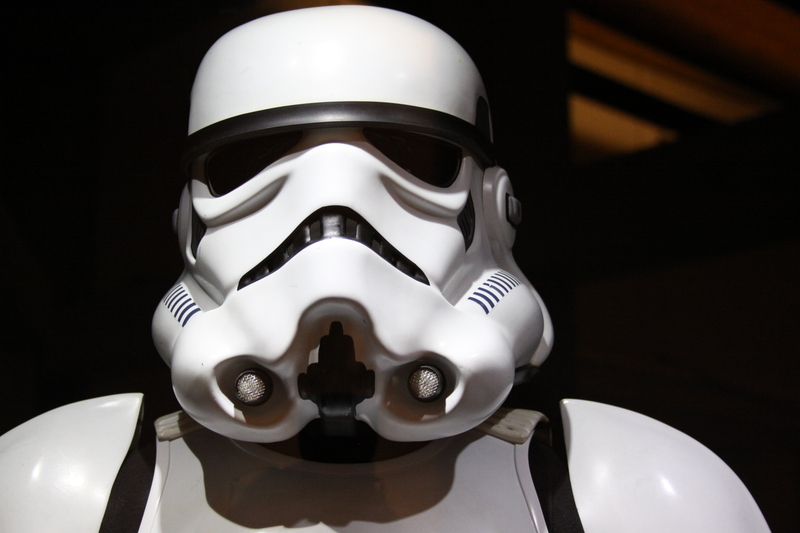 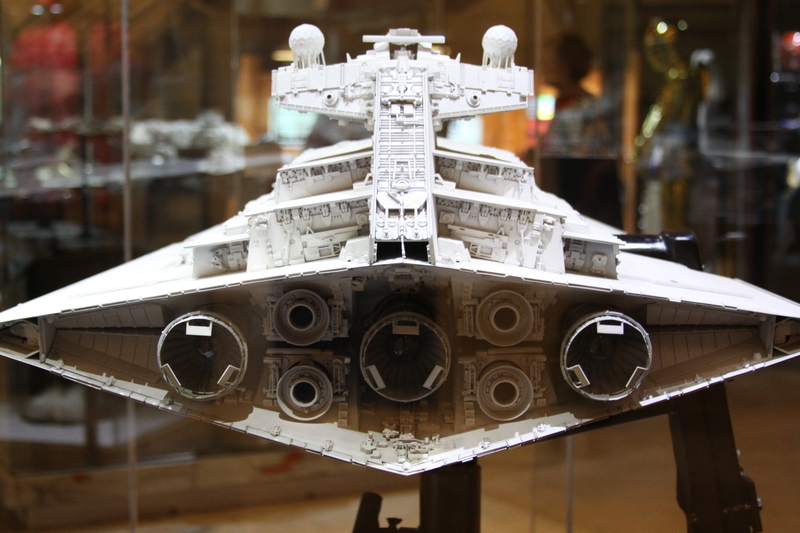 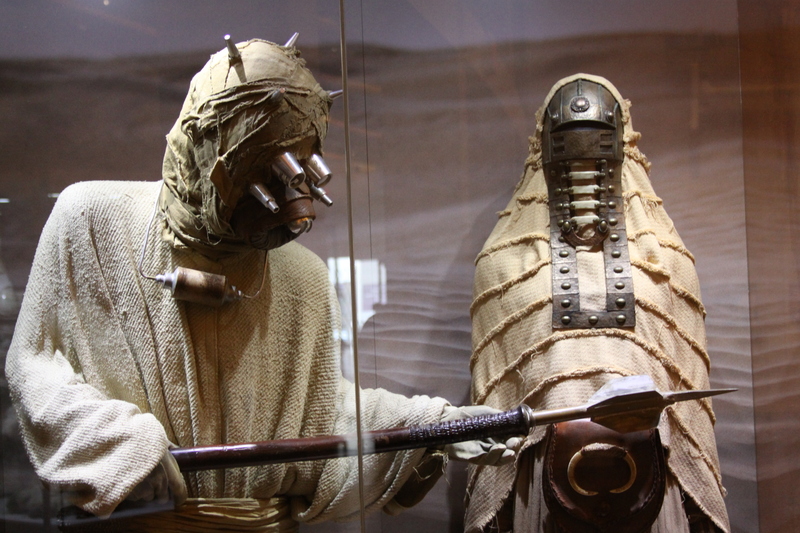 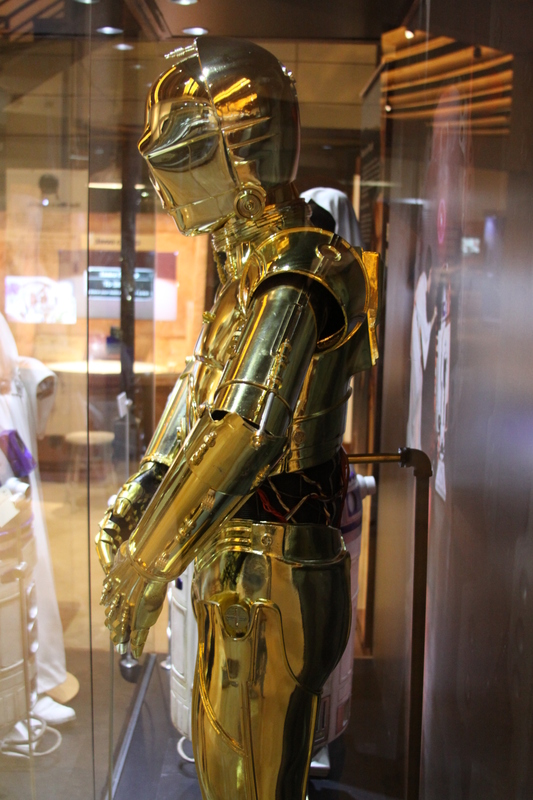 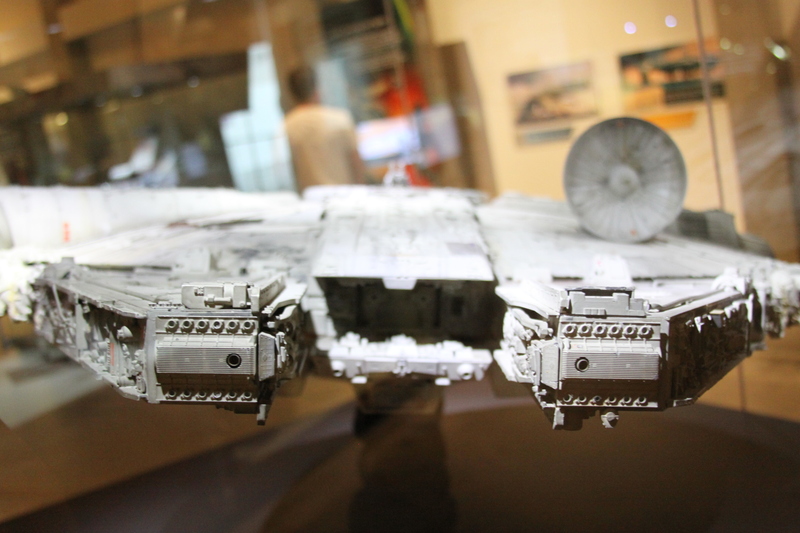 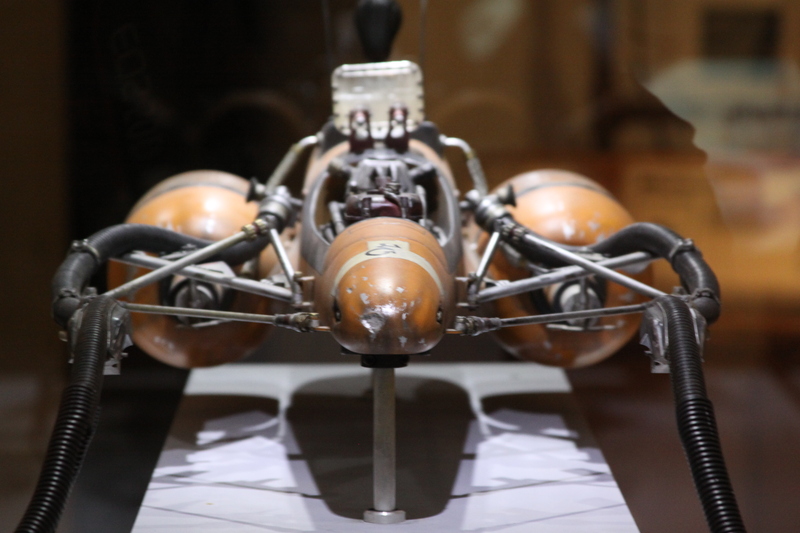 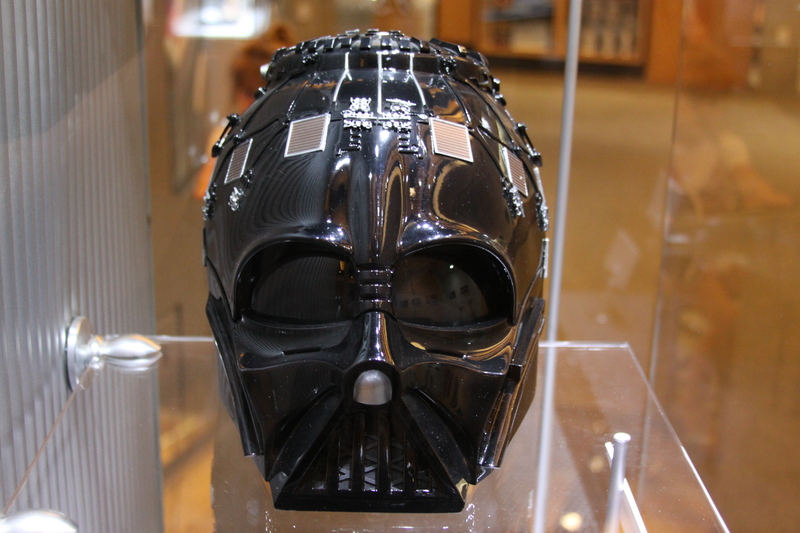 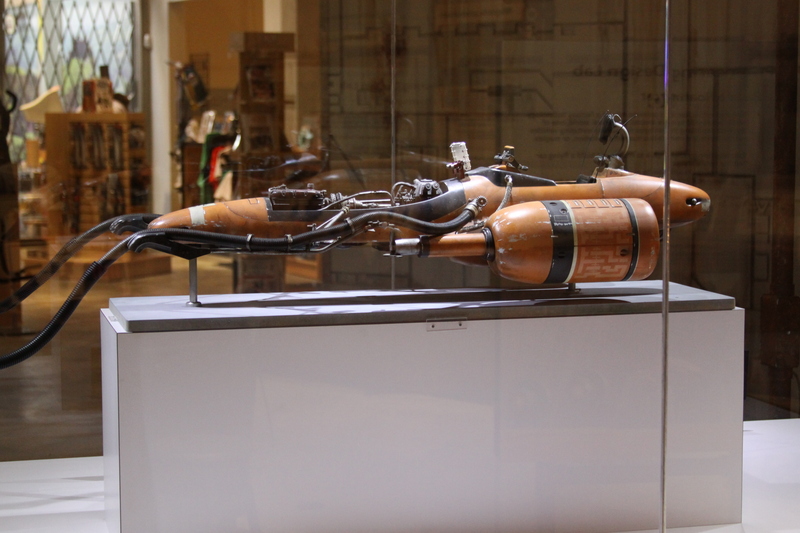 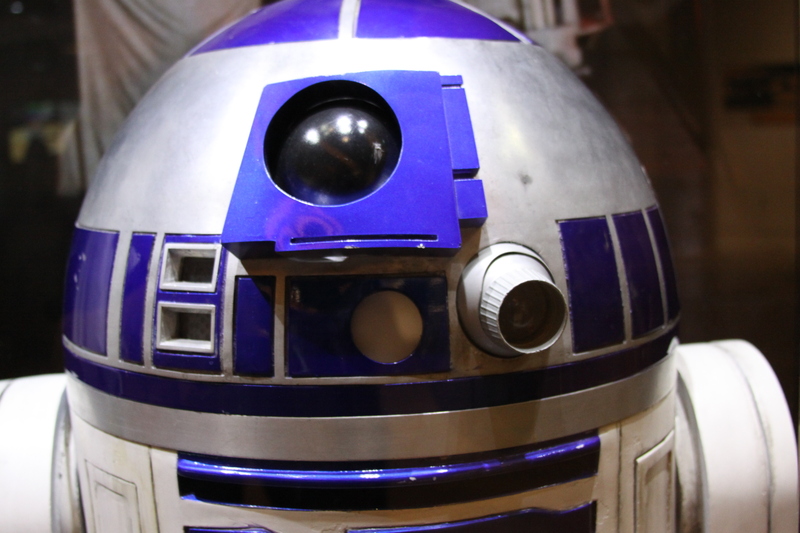 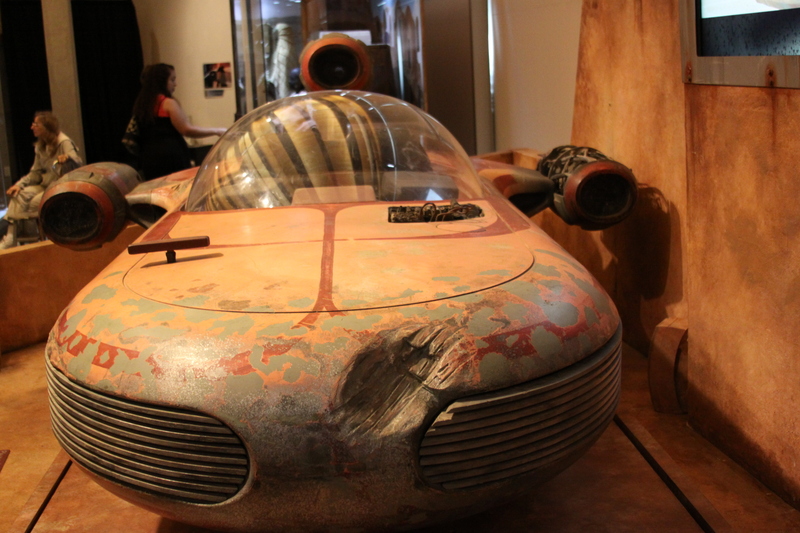 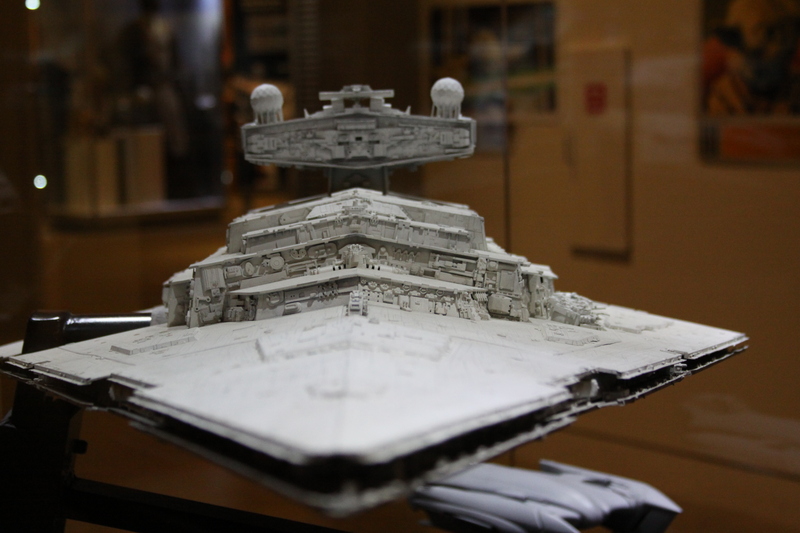 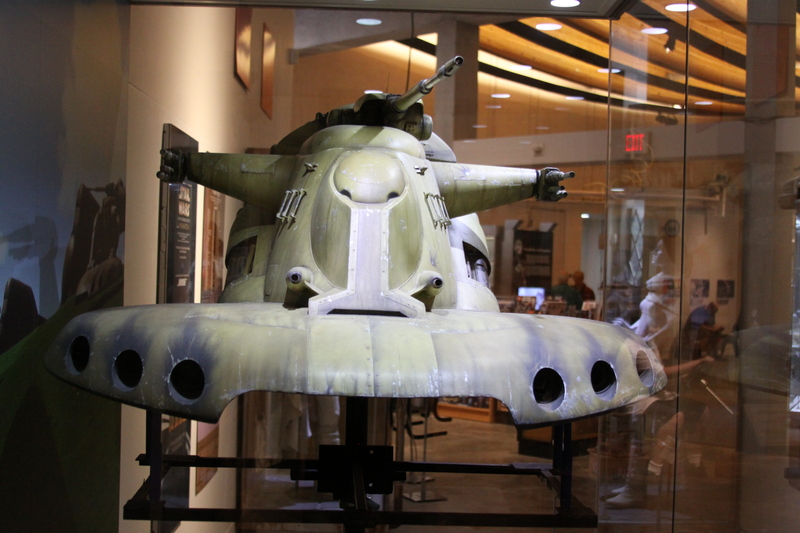 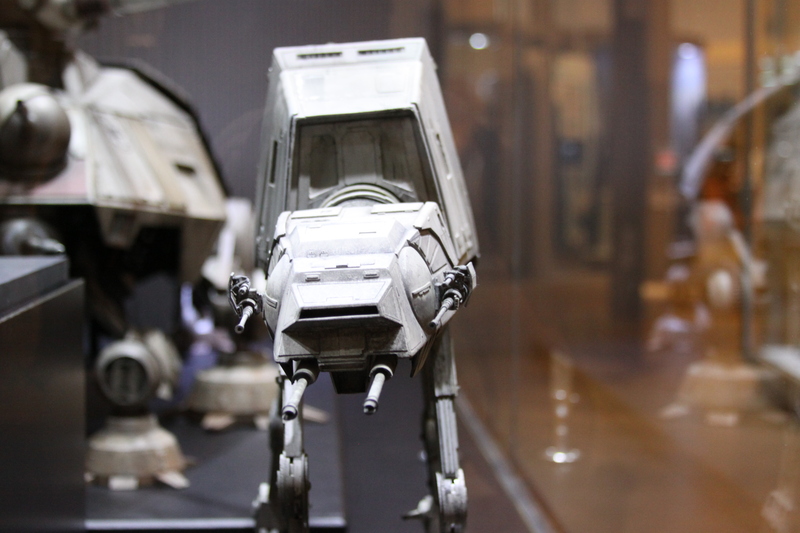 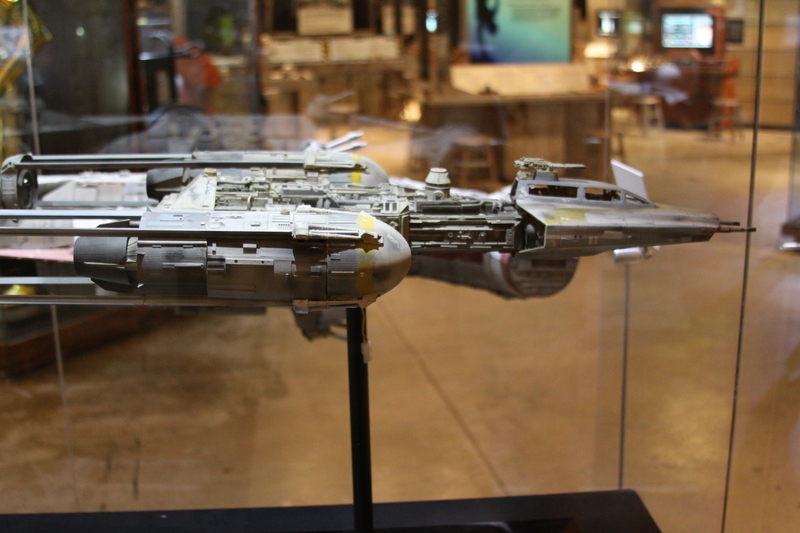 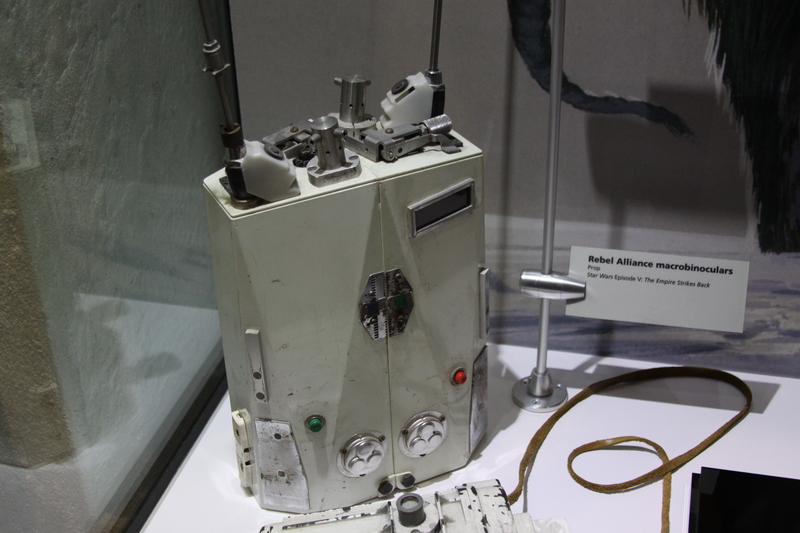 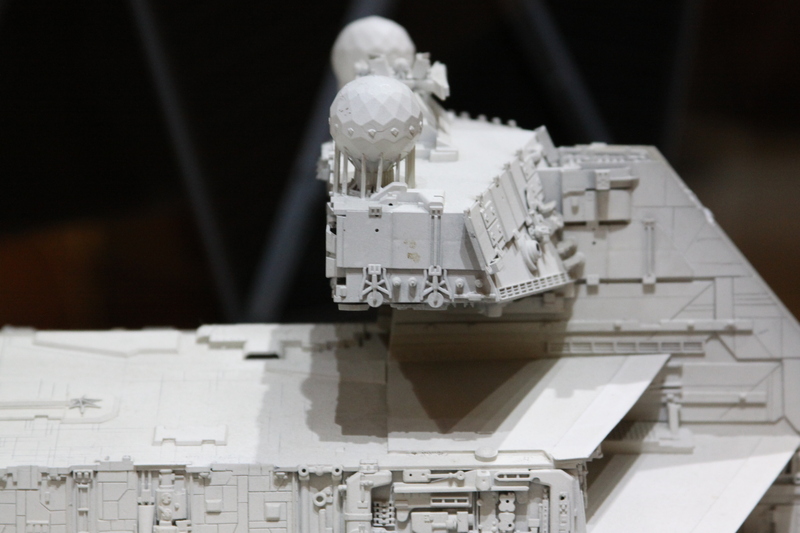 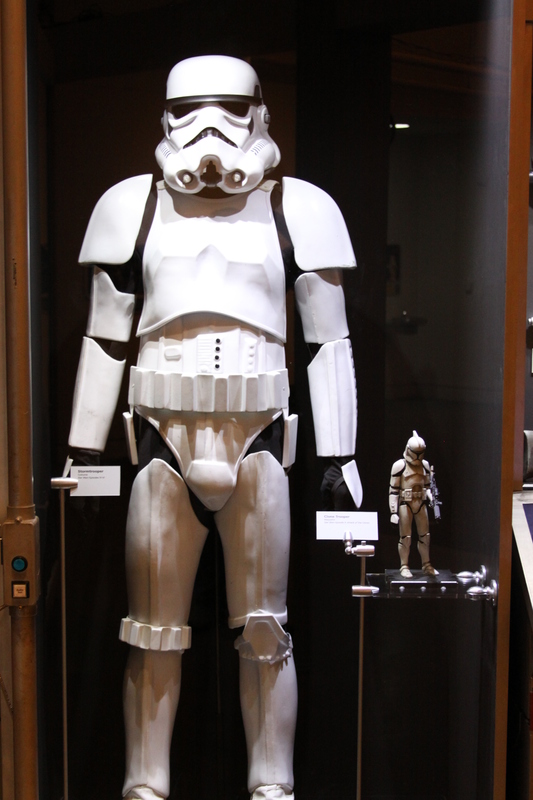 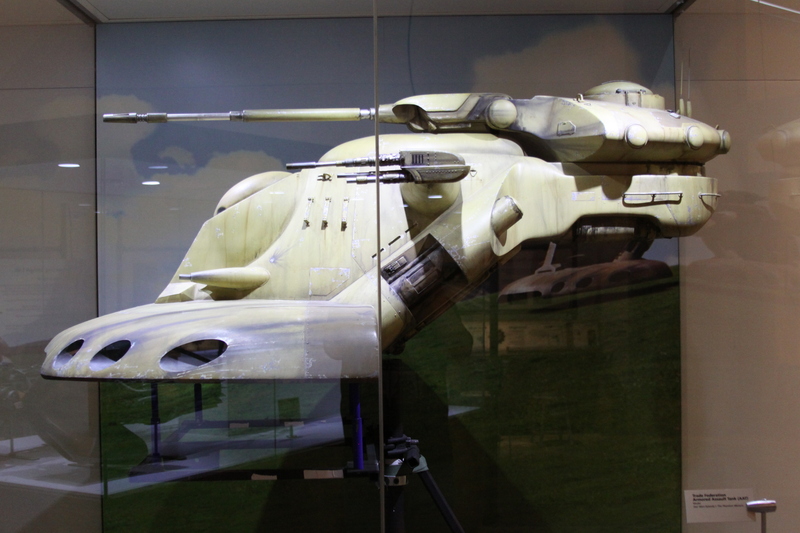 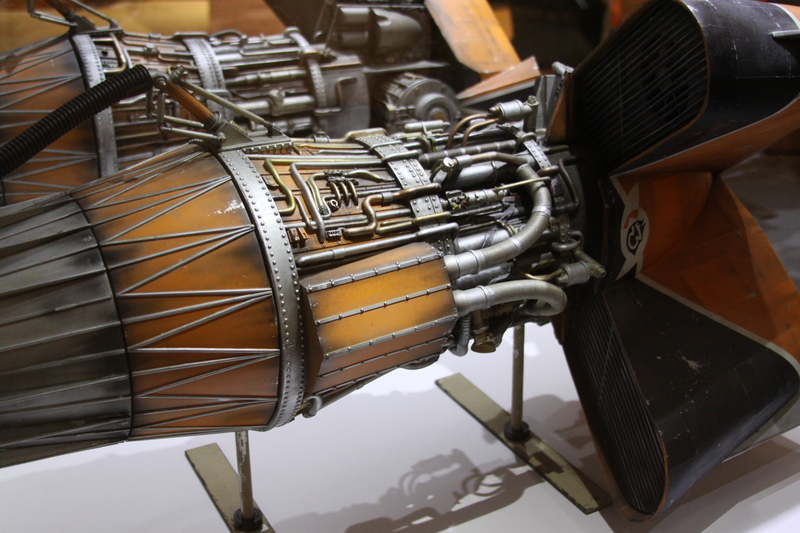 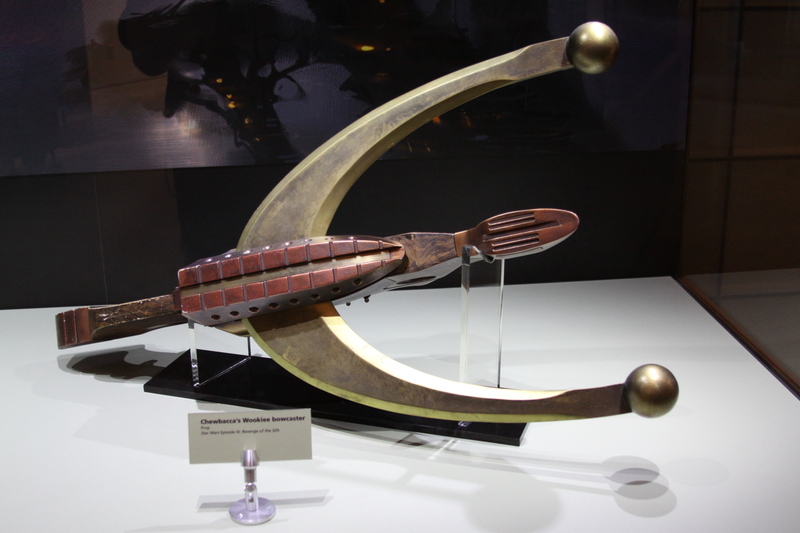 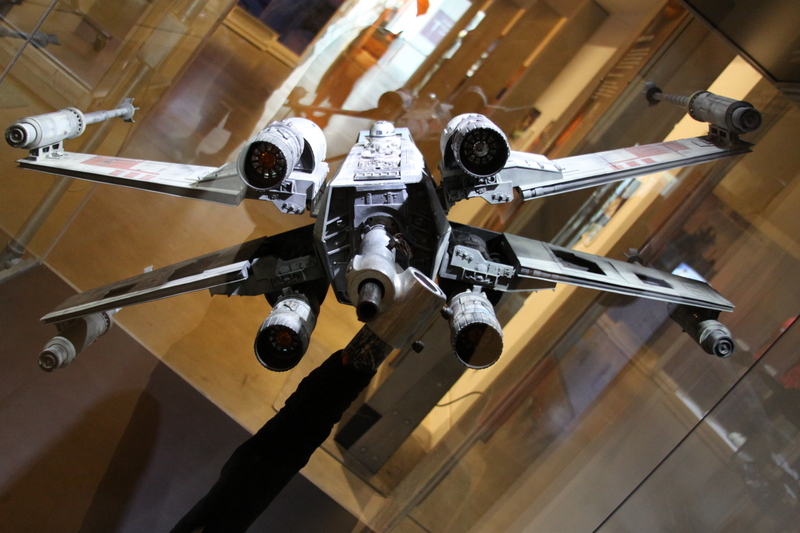 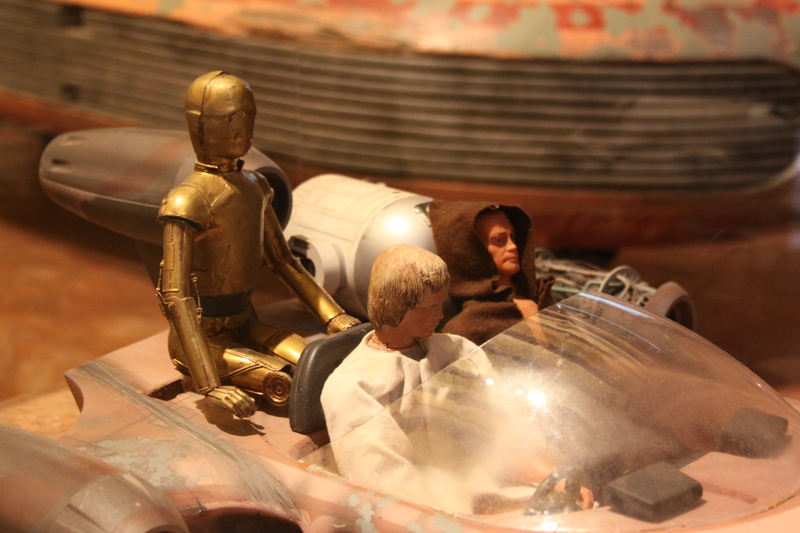 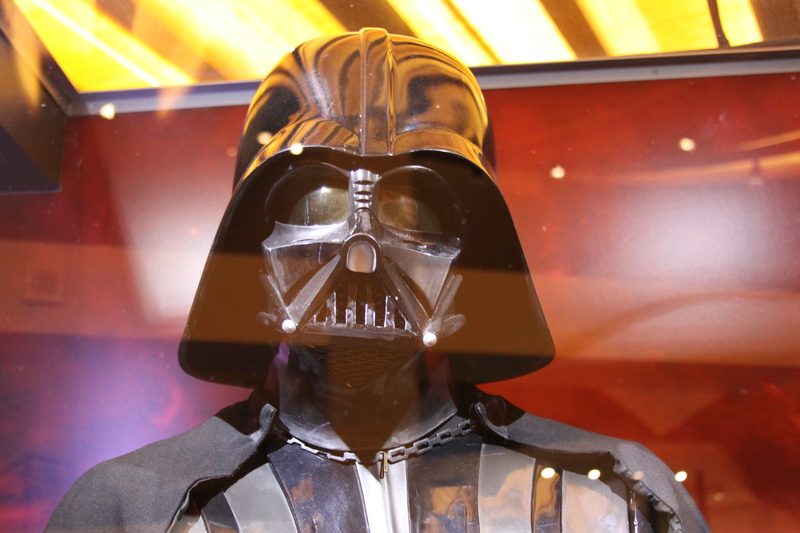 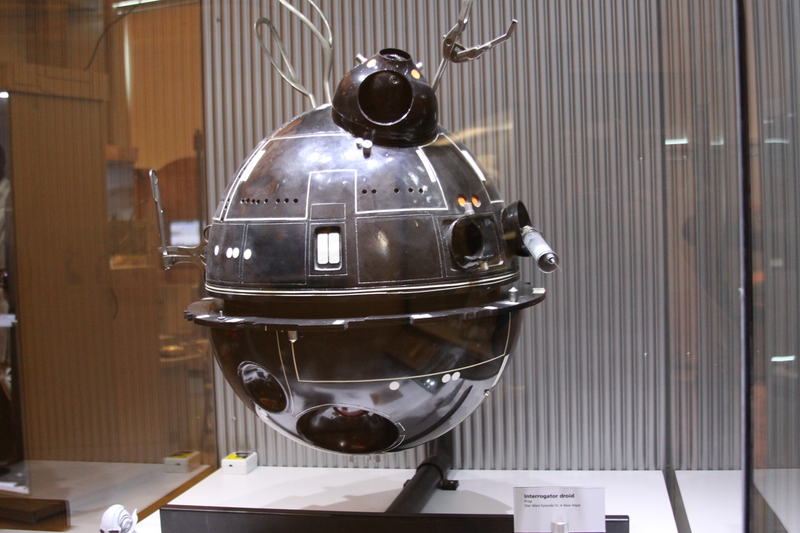 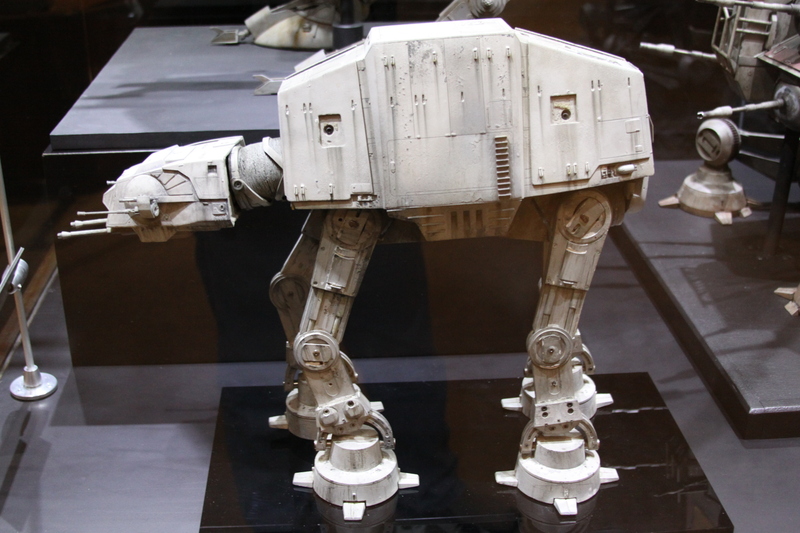 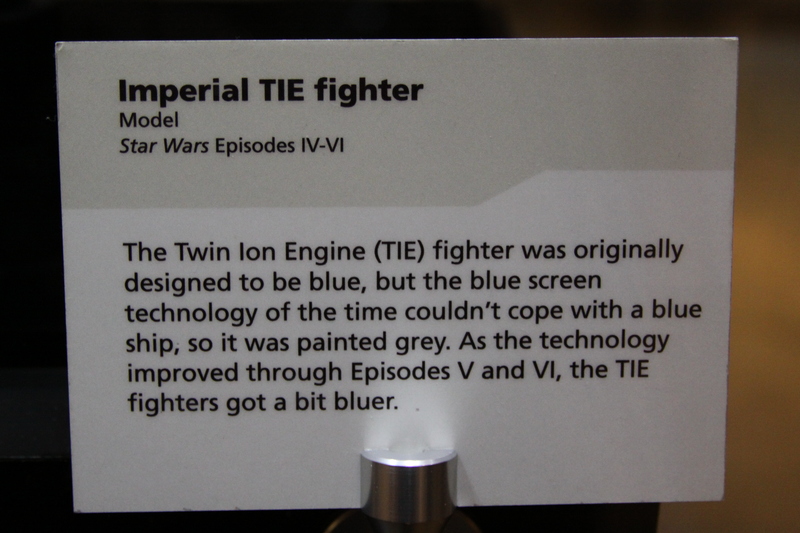 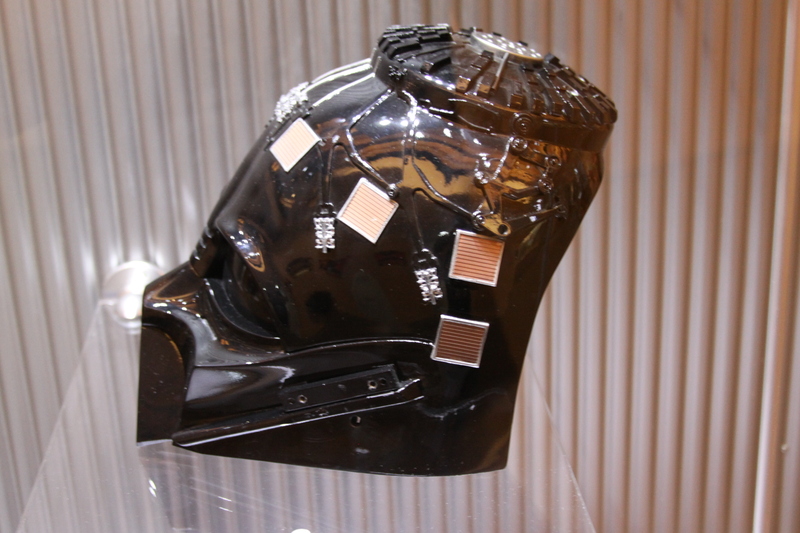 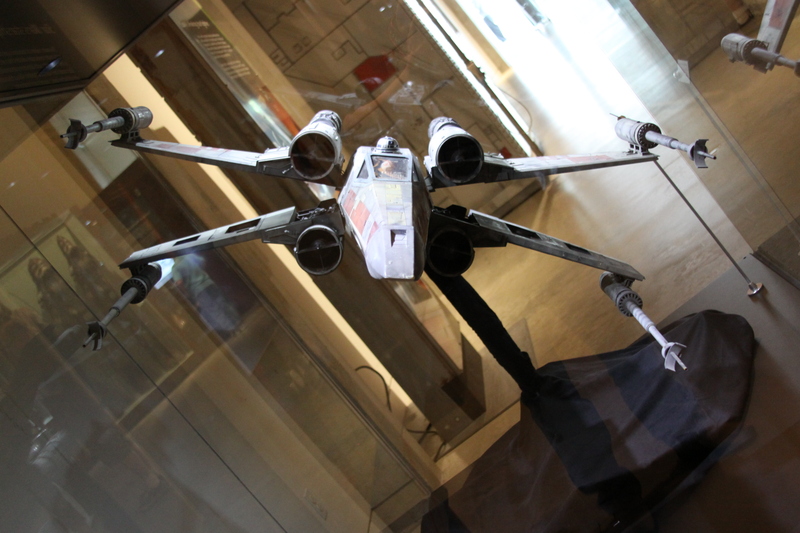 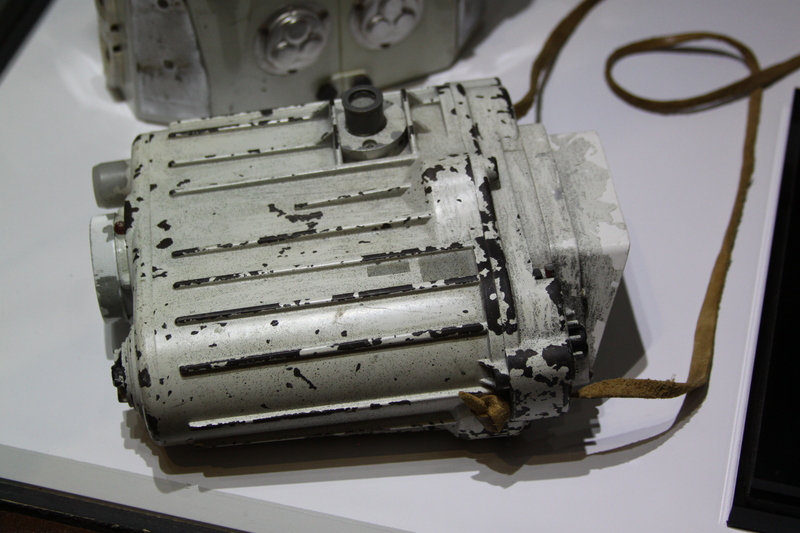 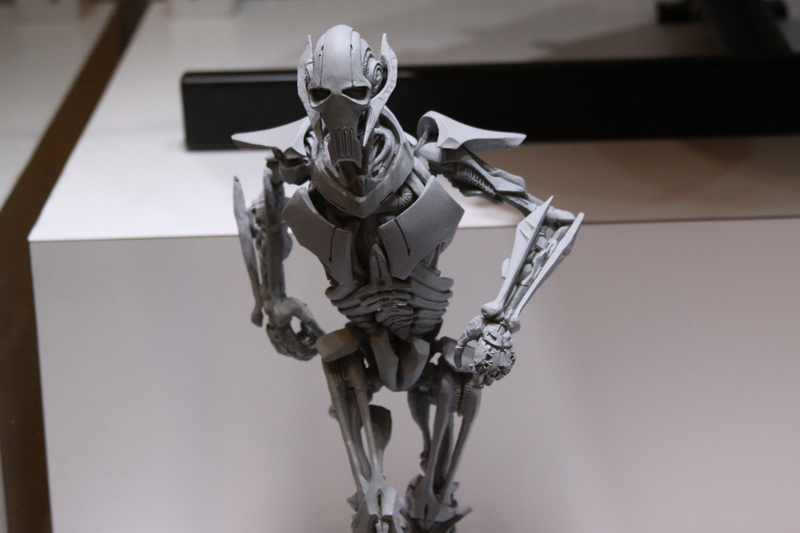 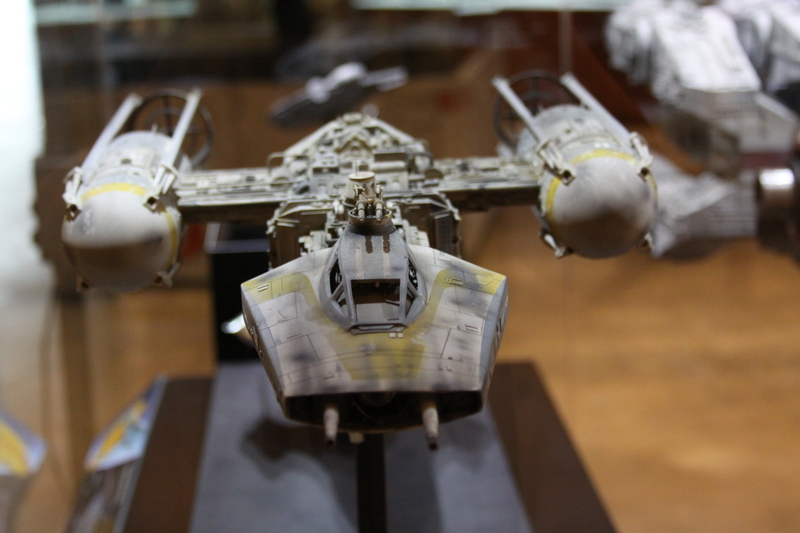 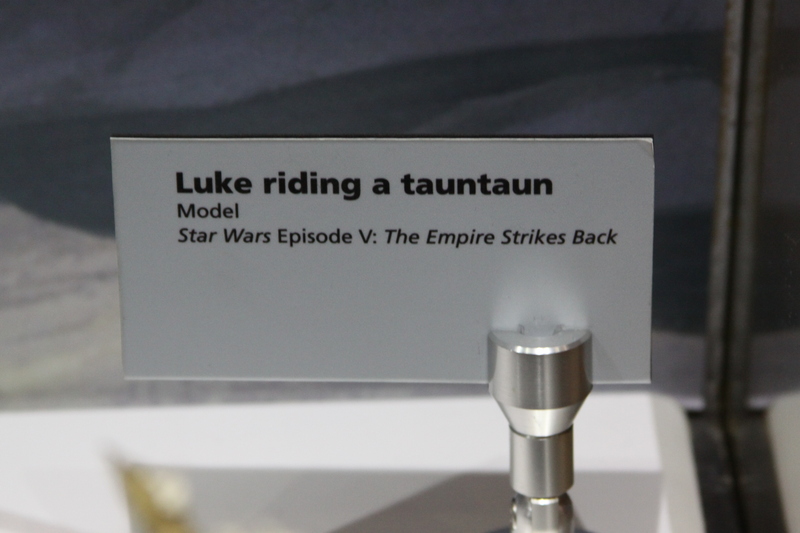 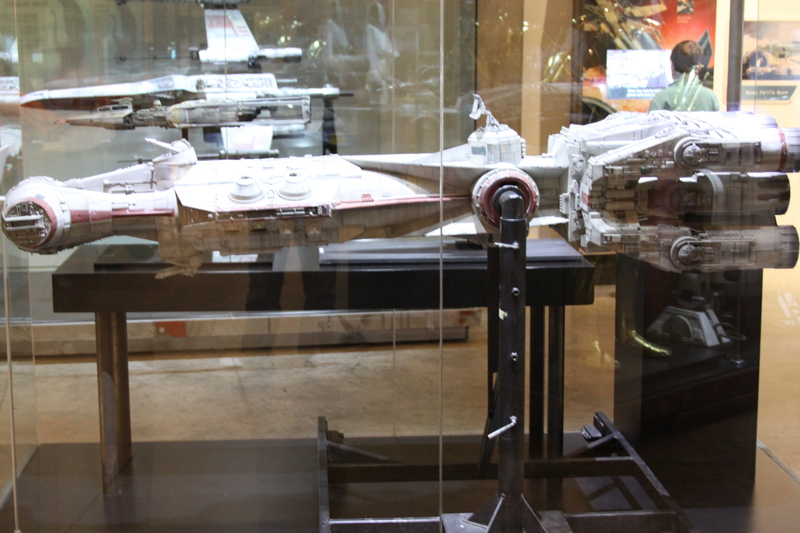 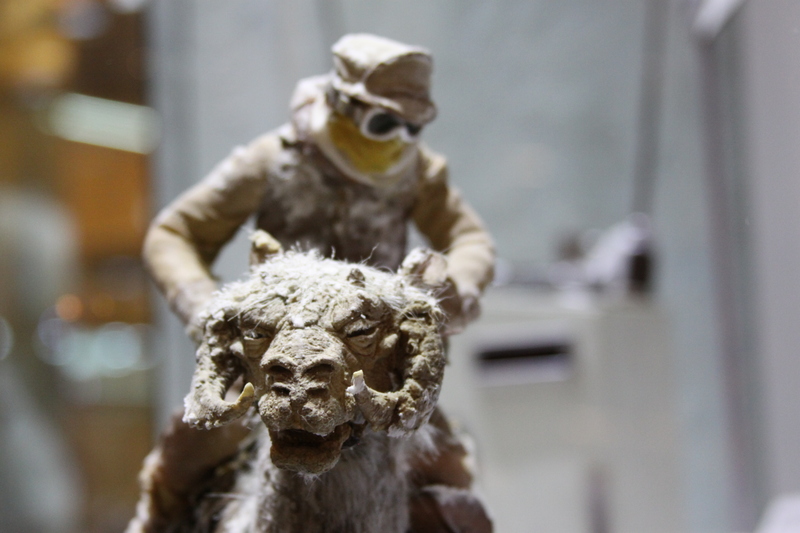 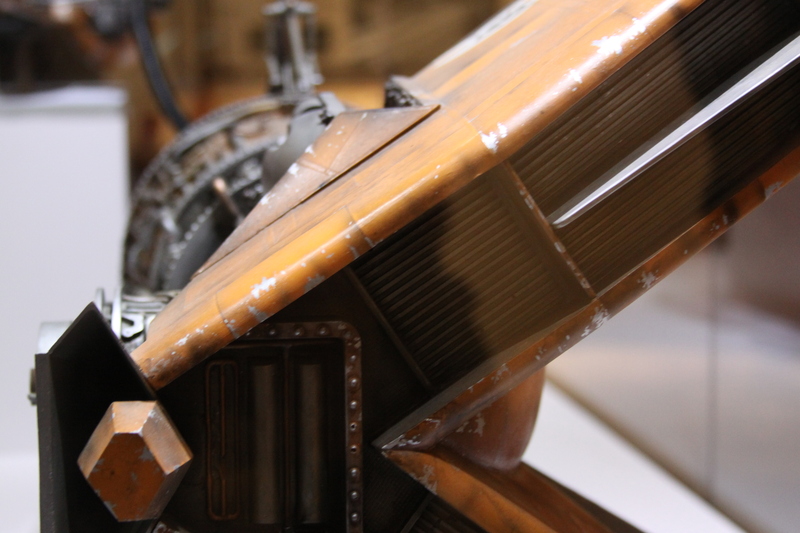 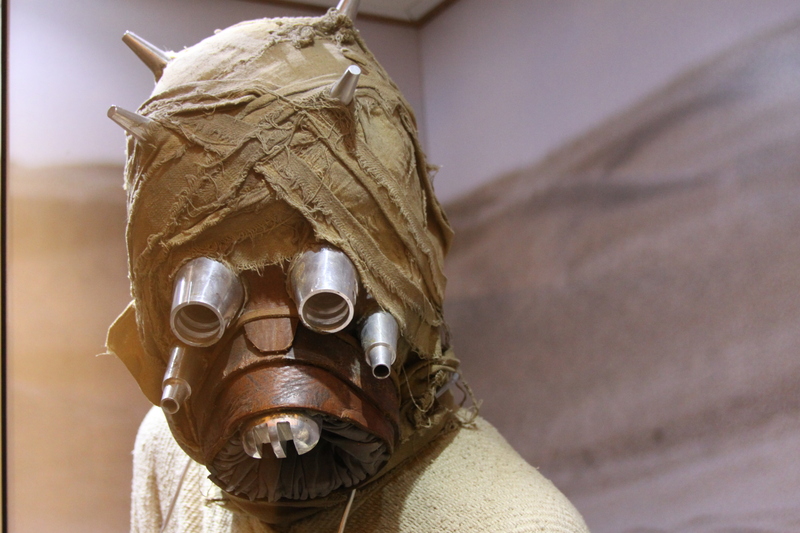 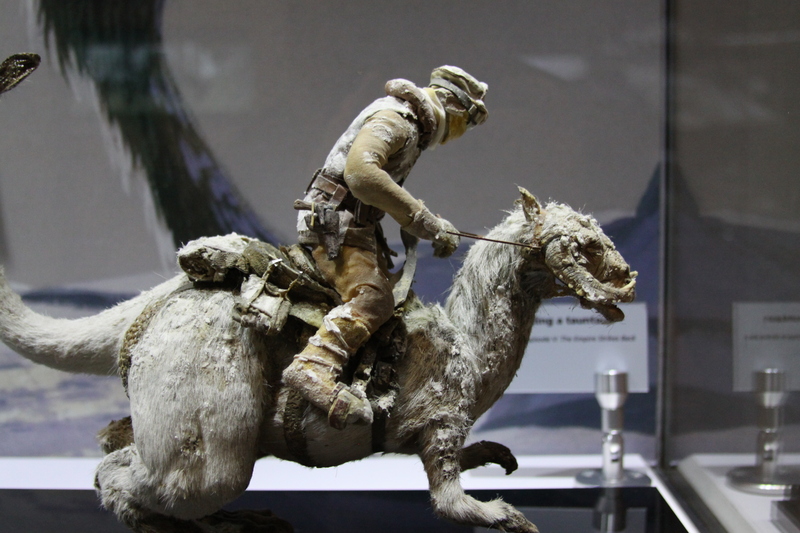 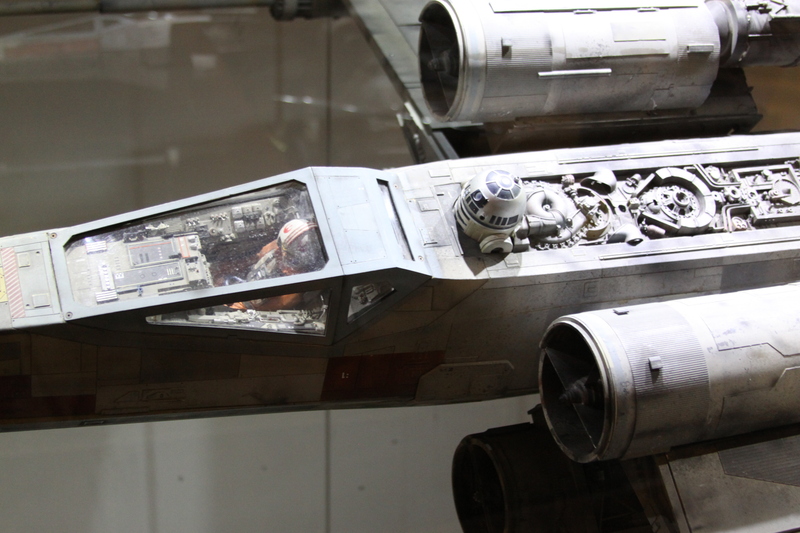 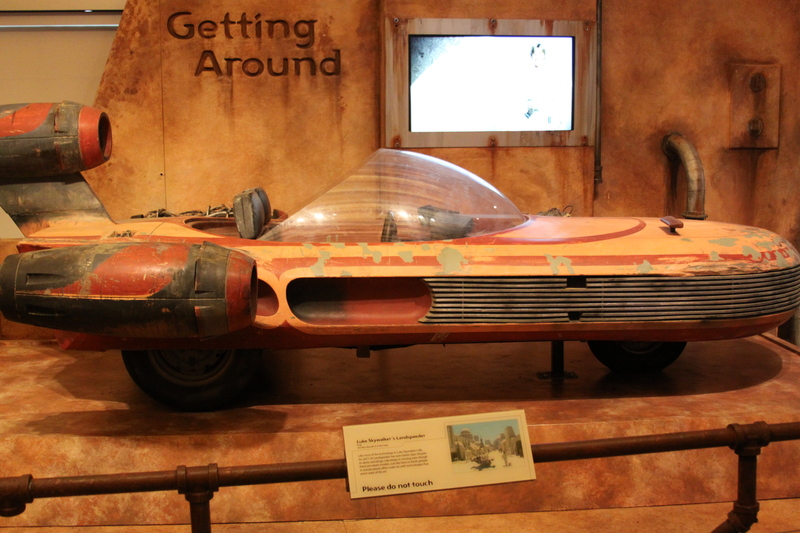 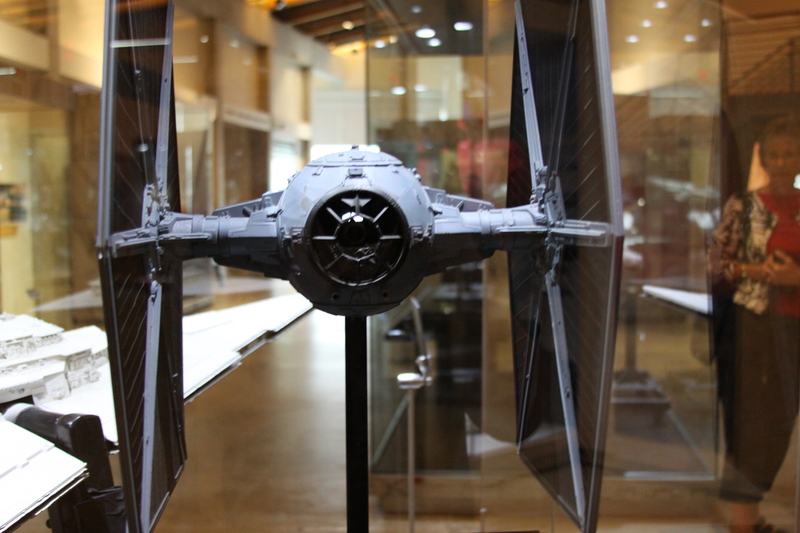 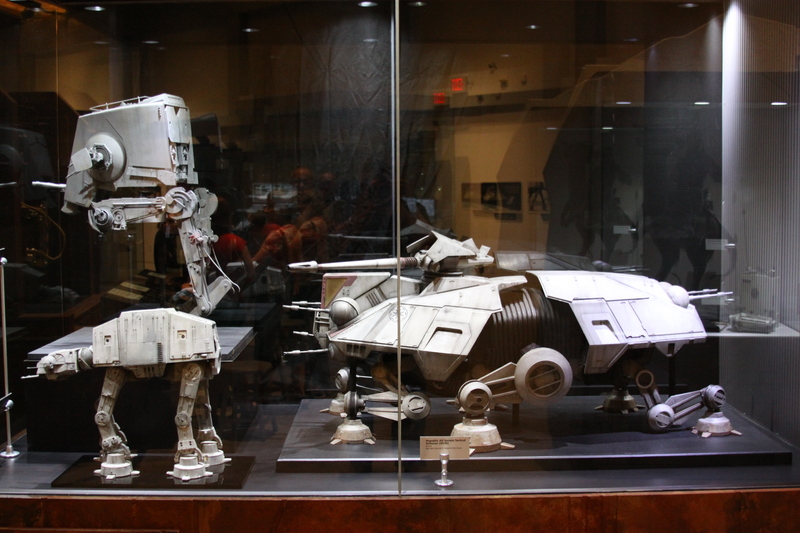 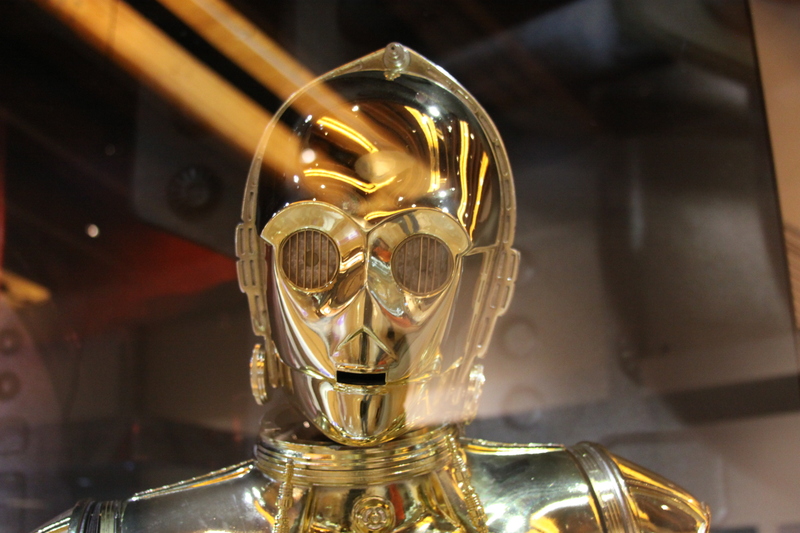 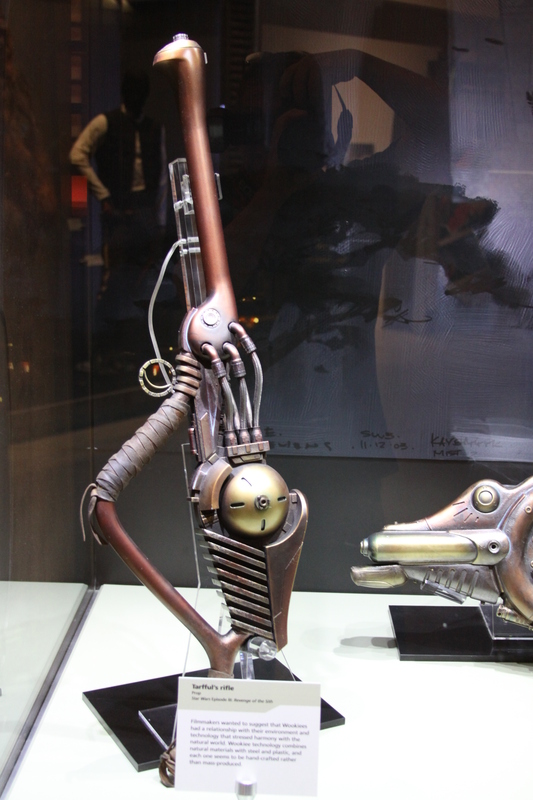 The primary focus of the exhibit is the introduction of modern science and technology through the lens of Star Wars. 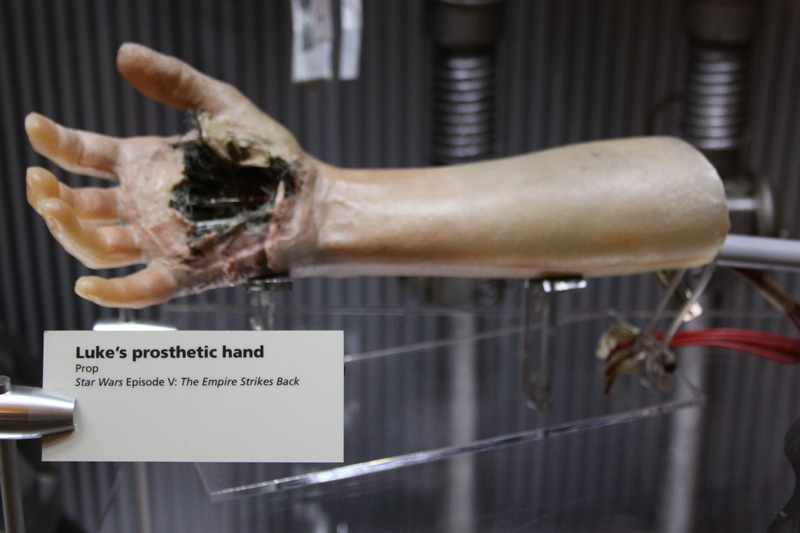 Topics ranging from space travel, mechanical prosthetics, robotics, and levitation technology such as is seen in hovercrafts and Maglev trains are addressed through hands-on activities and volunteer demonstrations. 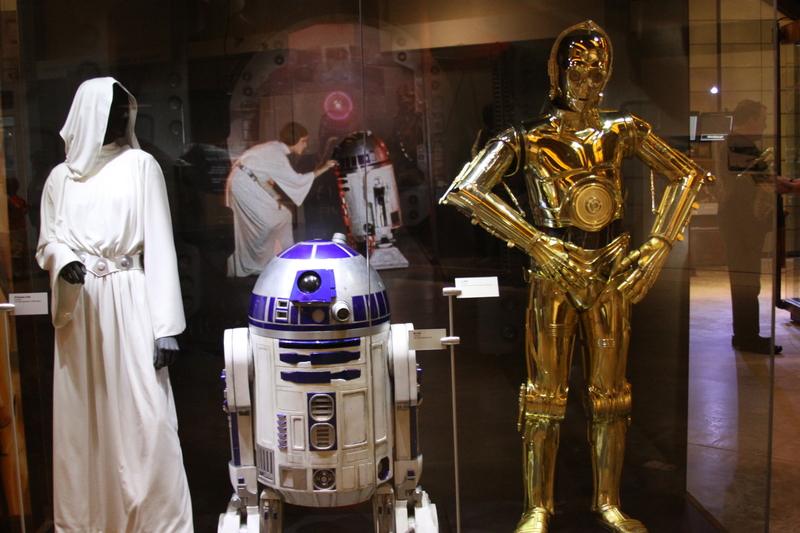 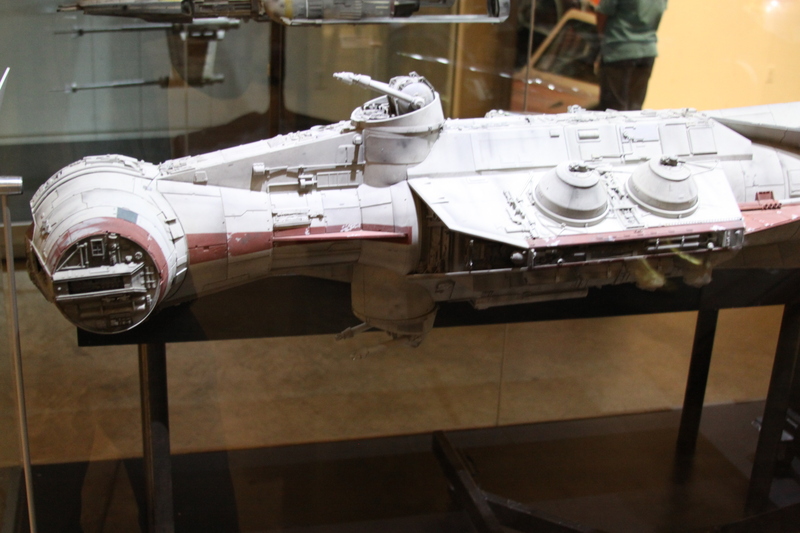 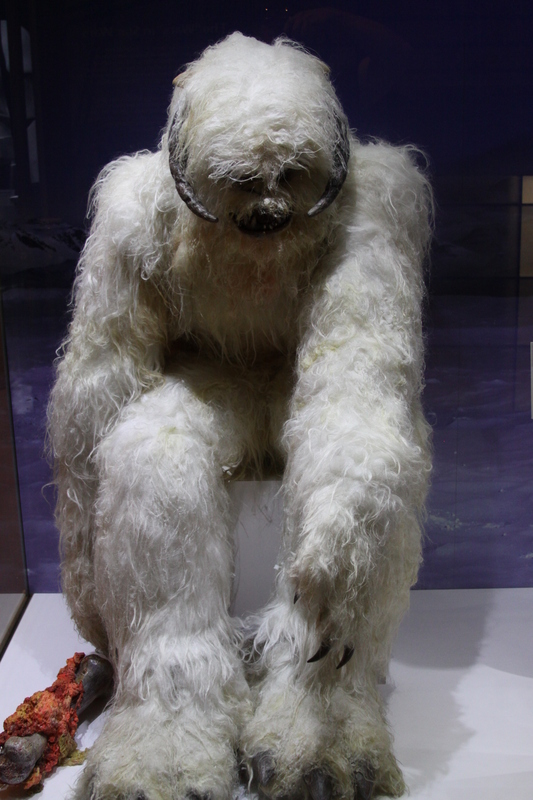 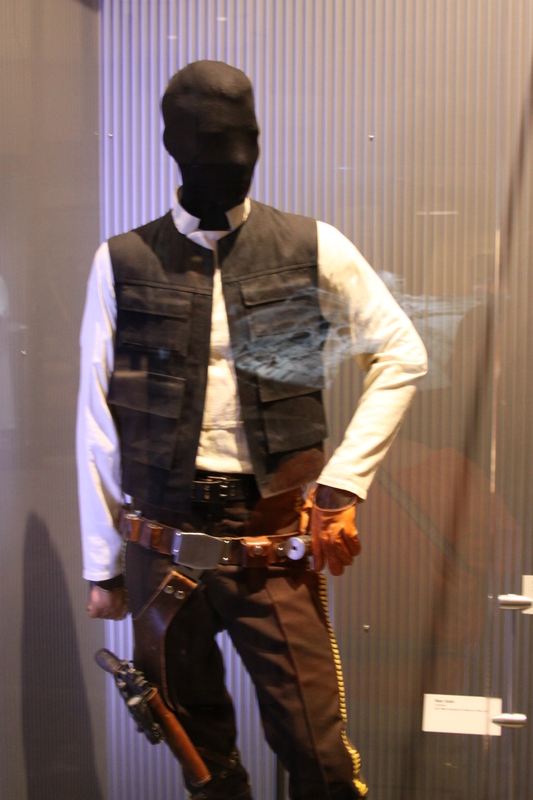 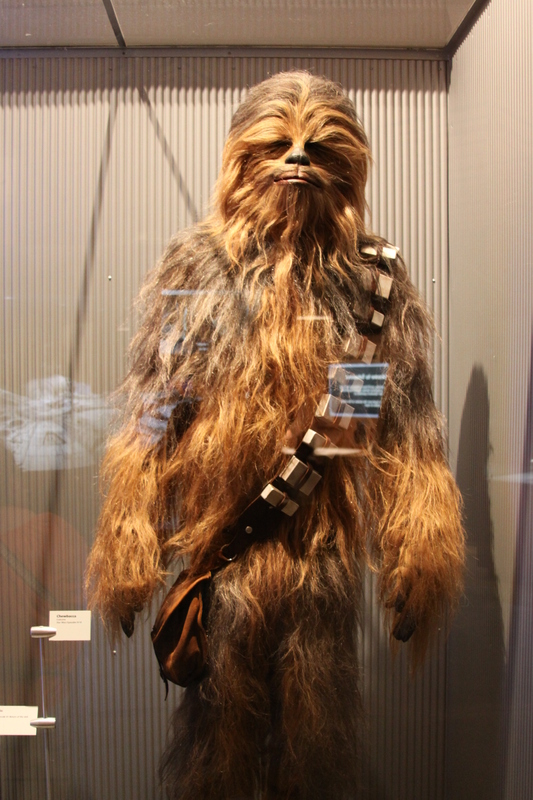 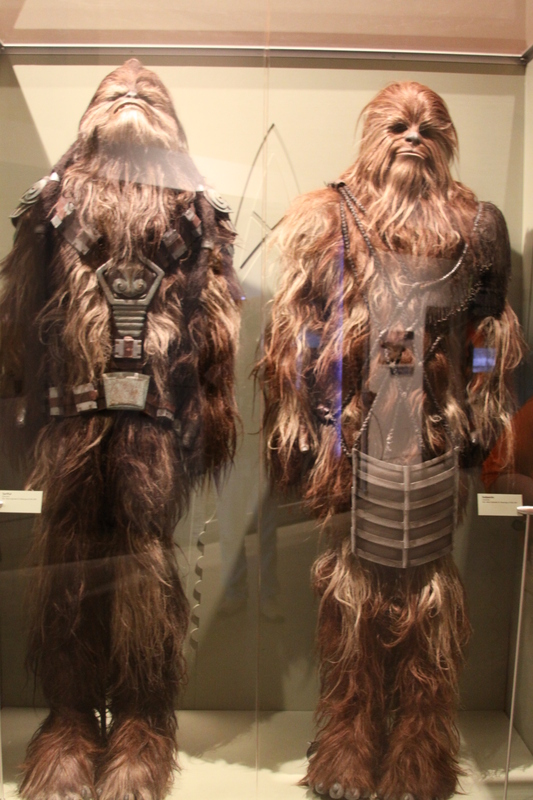 The exhibit includes an impressive number of props, costumes and models, including the Yoda puppet, C-3P0, “Naked” C-3P0, R2-D2, the Chewbacca costume, the three-section Darth Vader helmet from Revenge of the Sith, as well as the models of the X-wing, Millennium Falcon and many others used in the films. 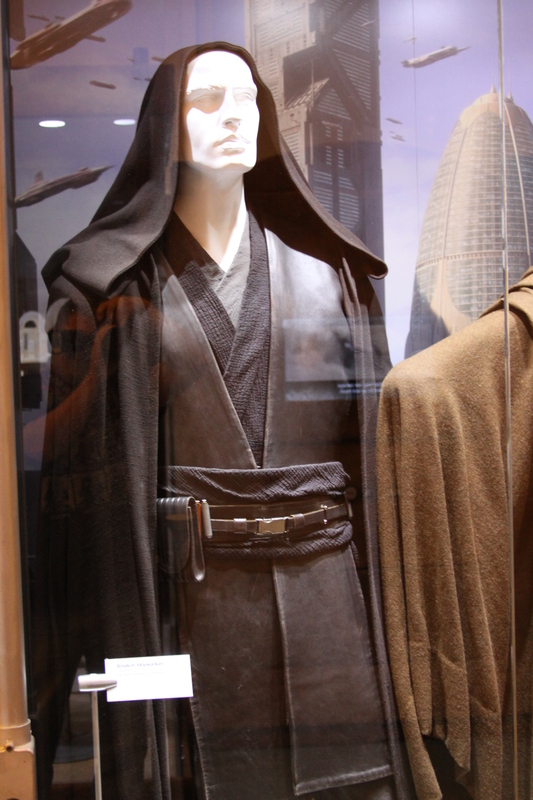 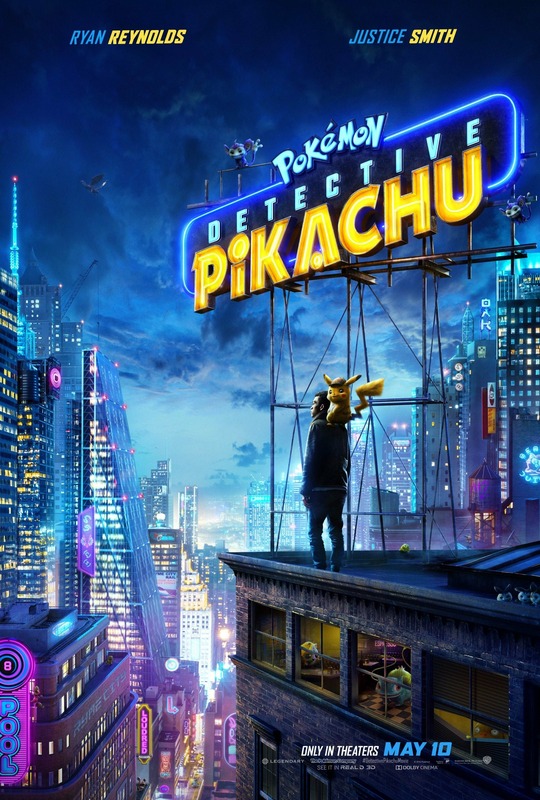 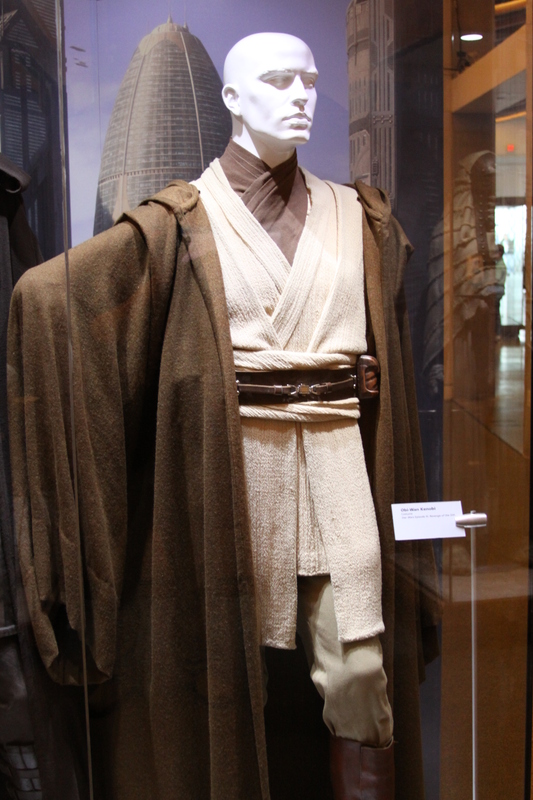 There are also costumes for Mace Windu, Princess Leia, Anakin Skywalker, Obi-Wan Kenobi and the stormtroopers, and lightsabers belonging to Luke, Obi-Wan, Darth Maul and Count Dooku, among a great many other costumes, props and models.